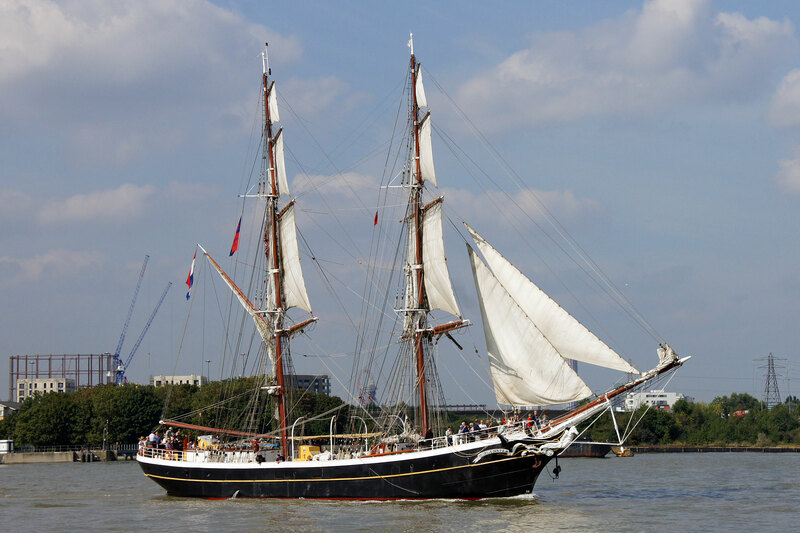 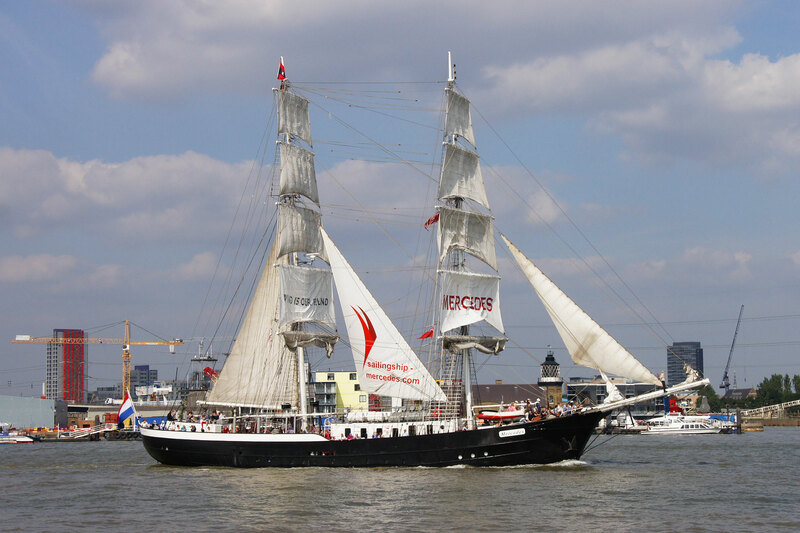 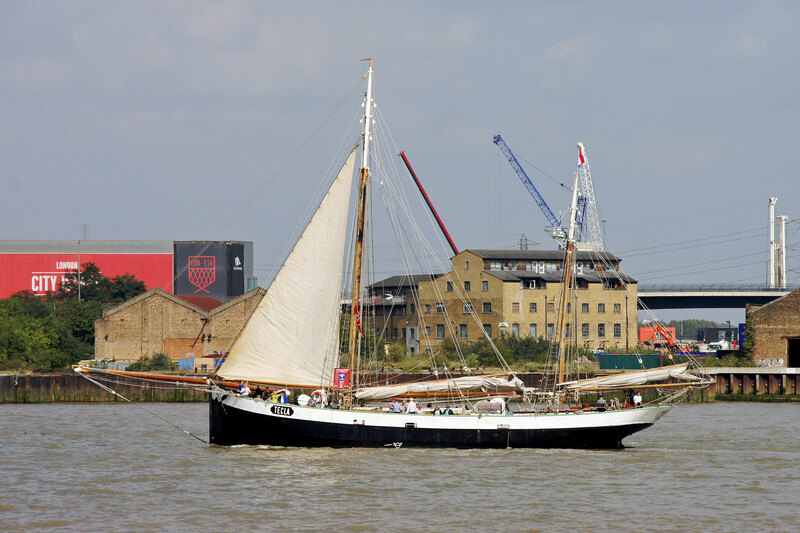 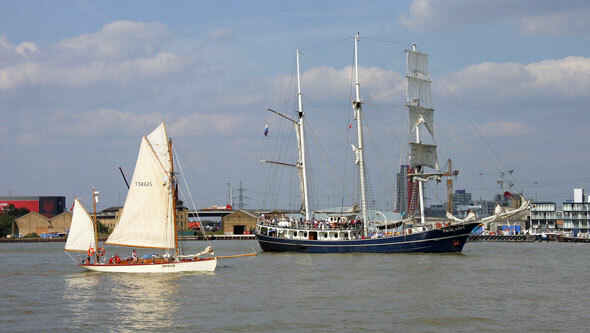 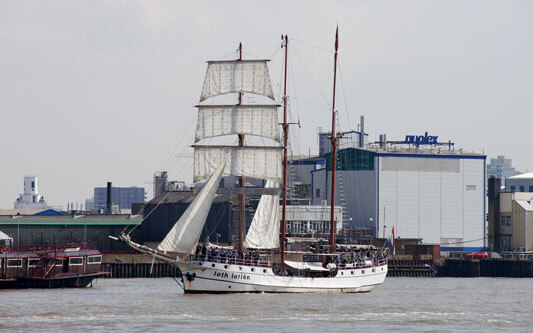 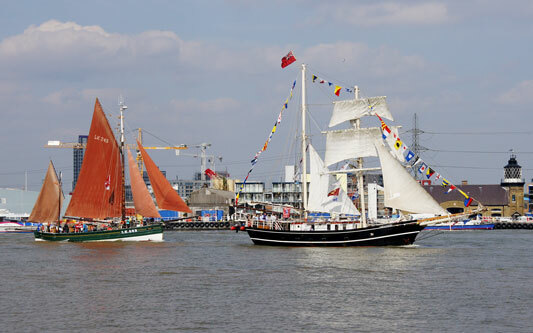 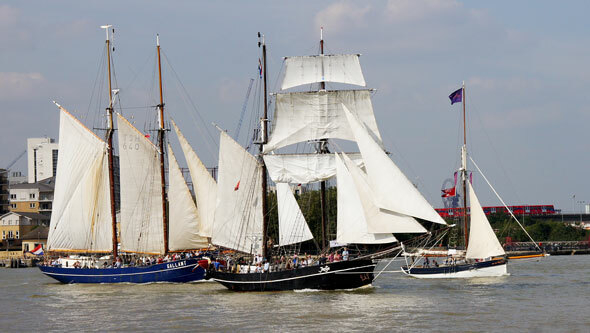 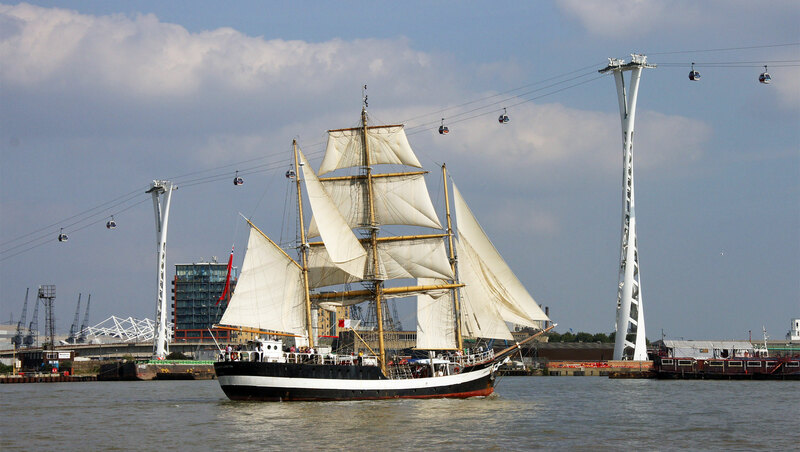 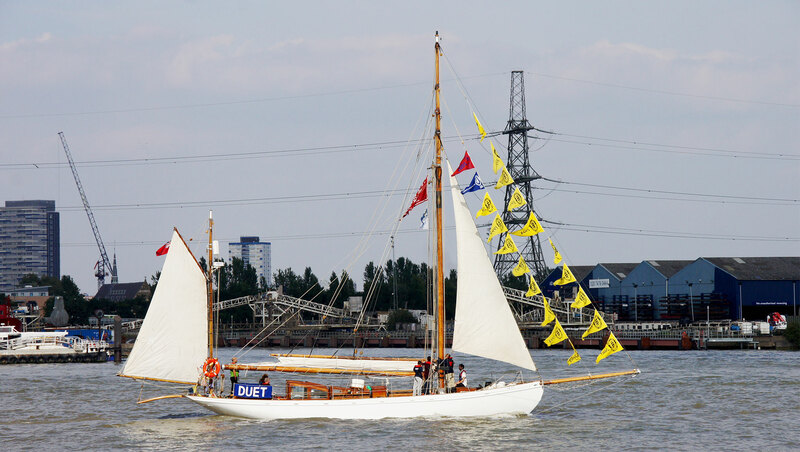 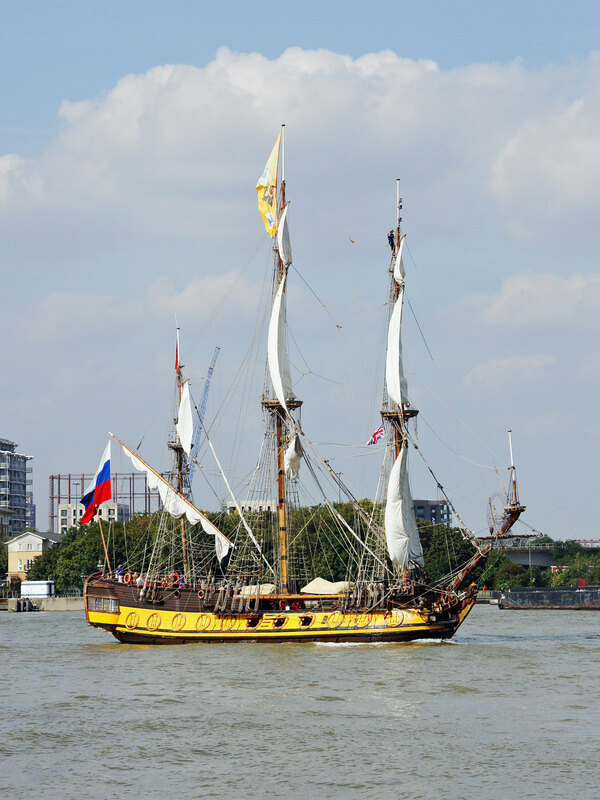 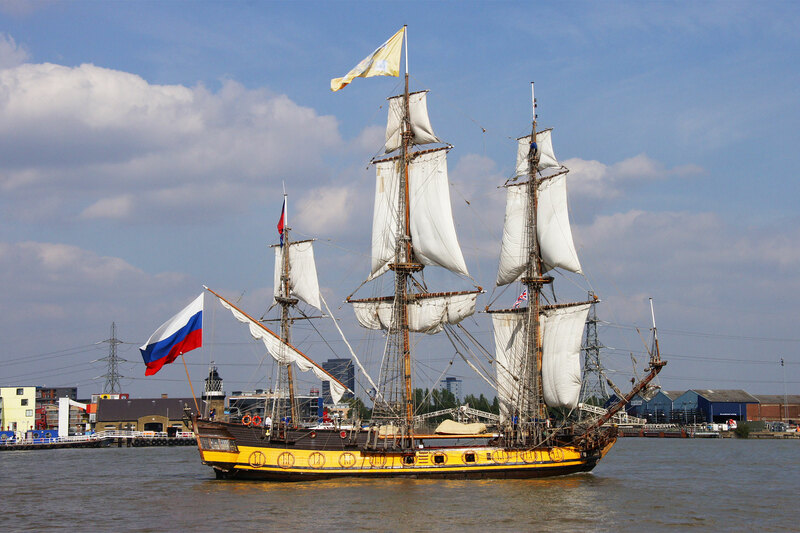 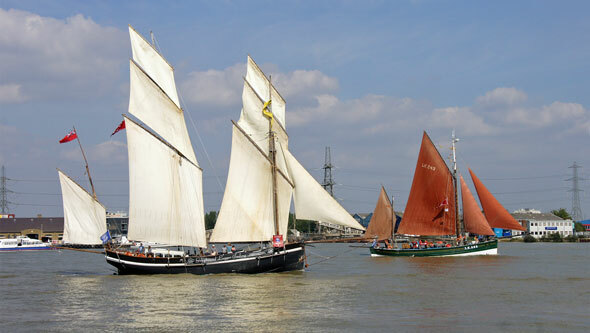 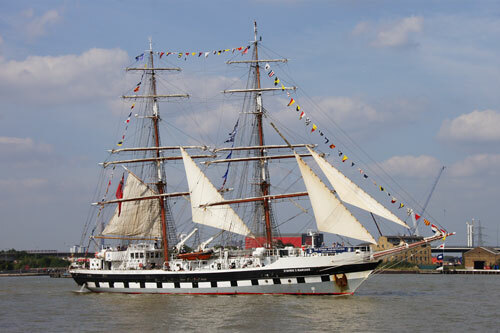 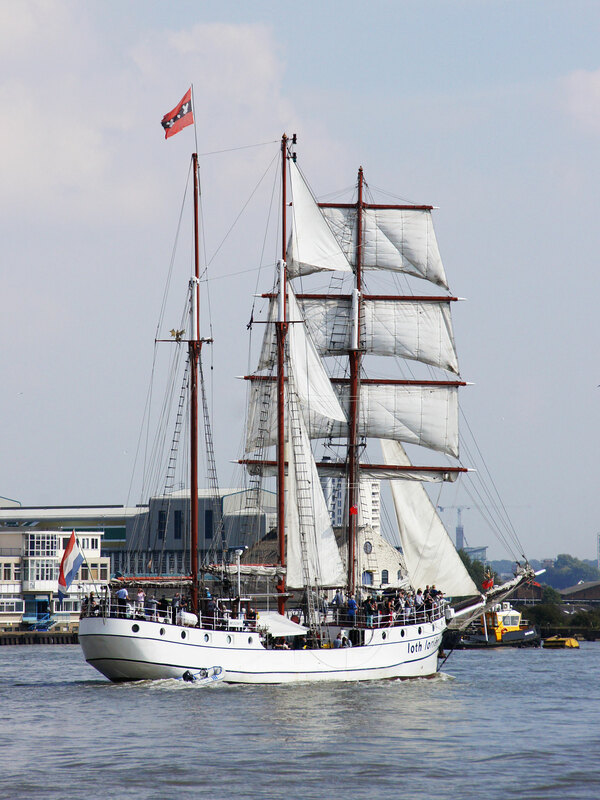 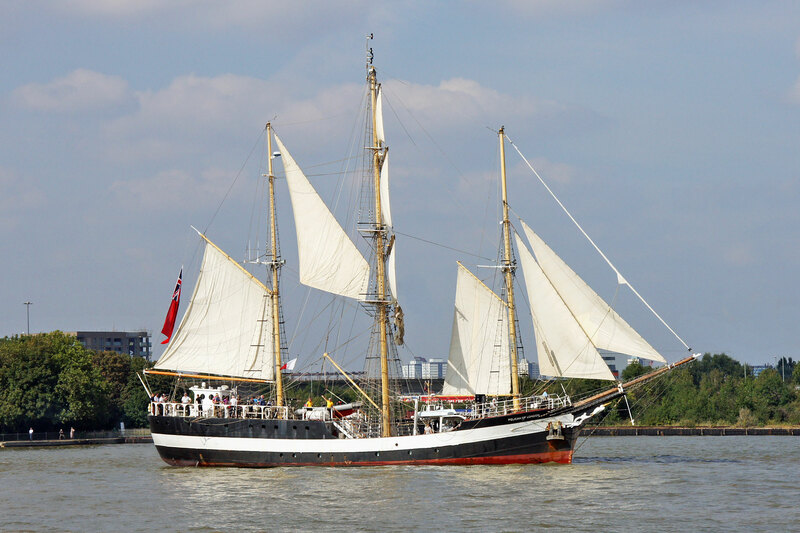 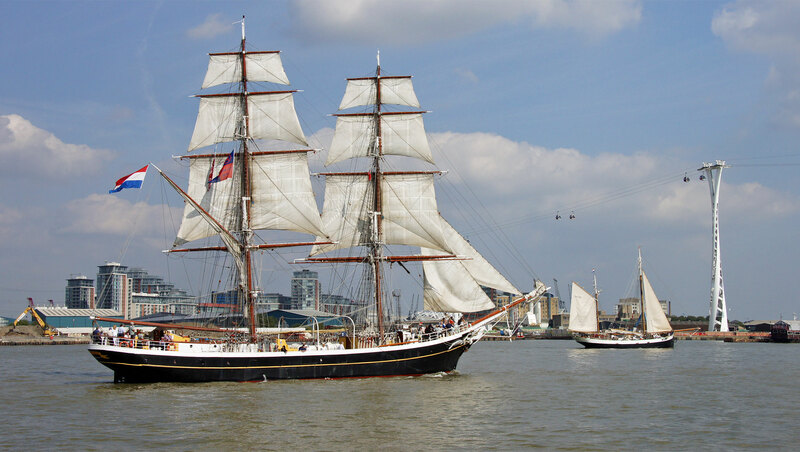 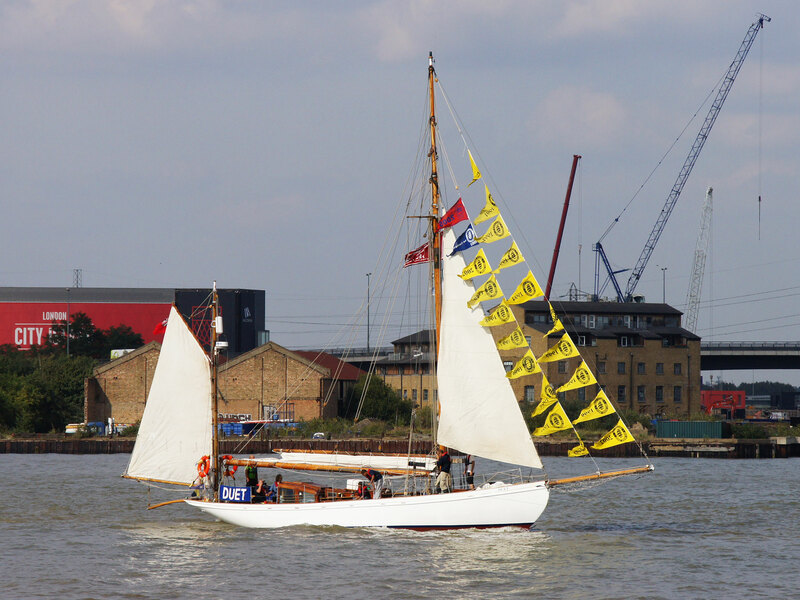 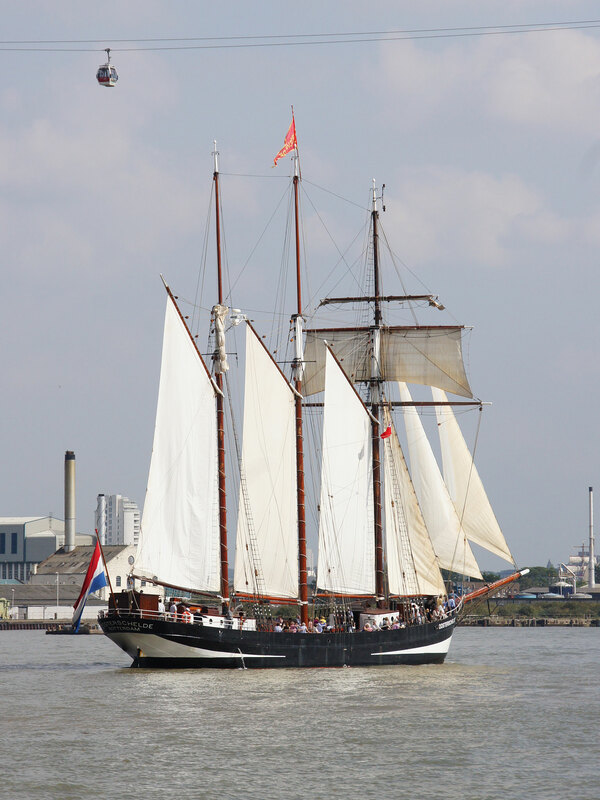 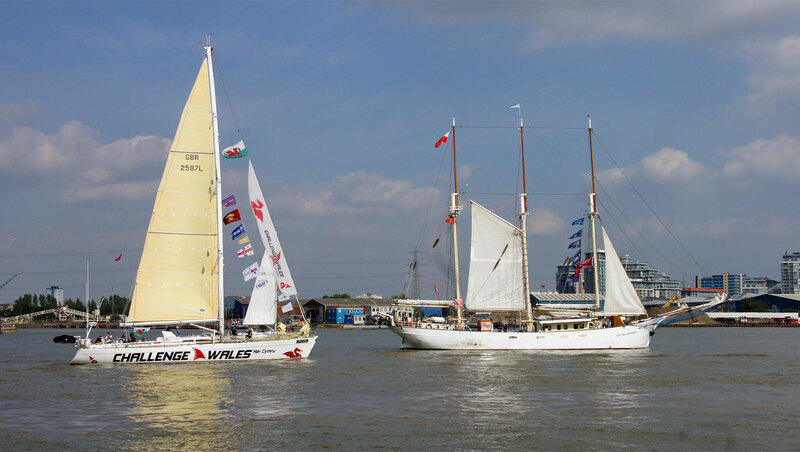 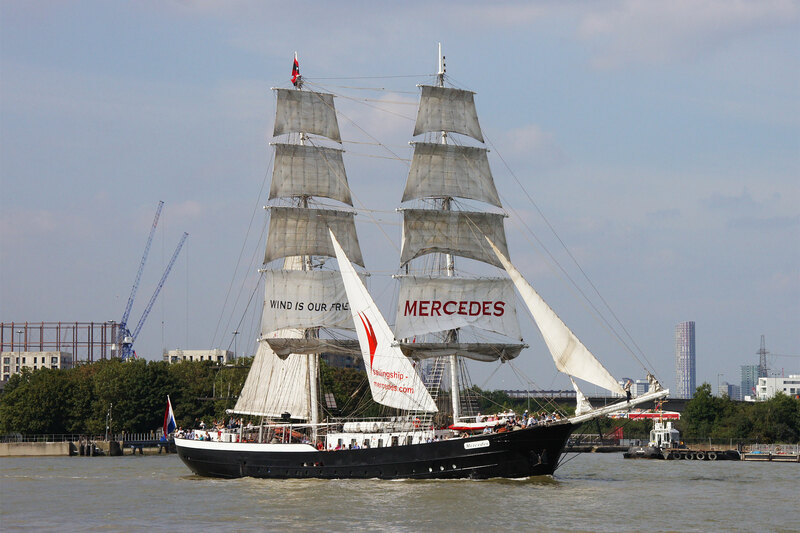 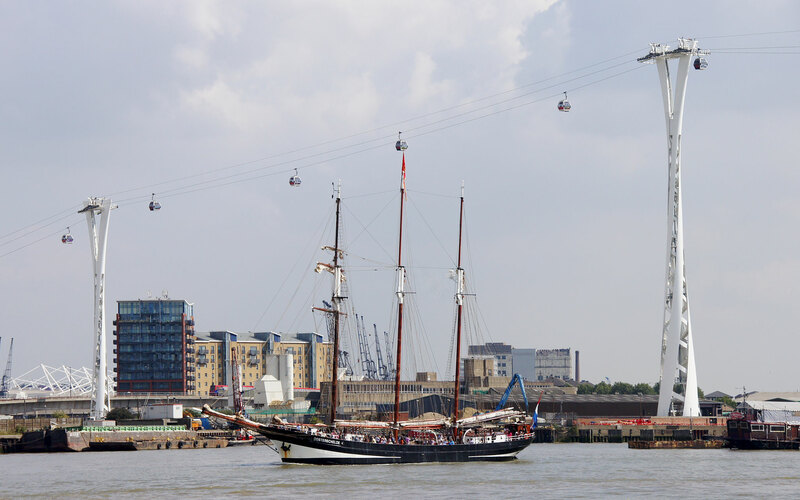 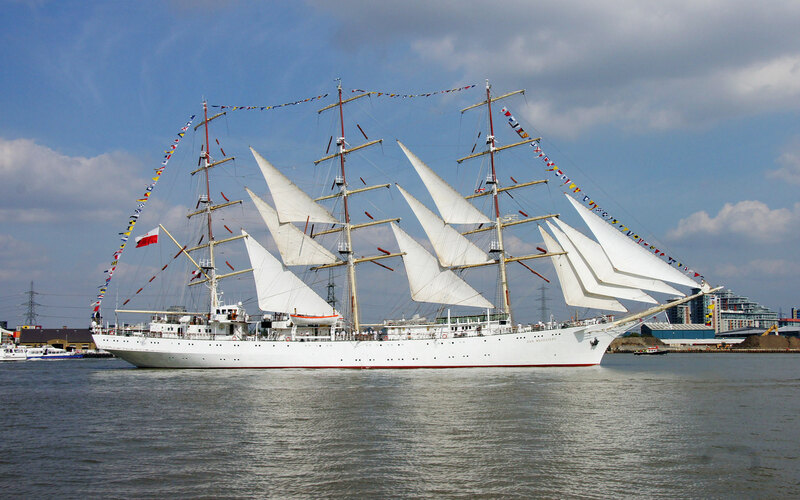 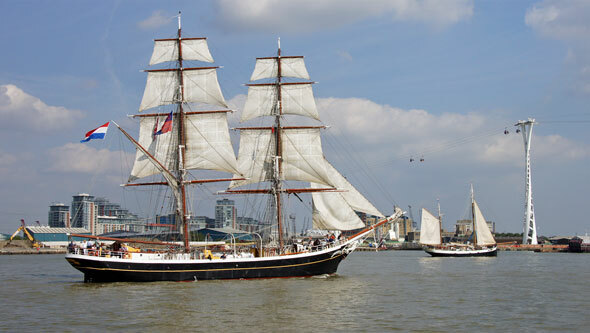 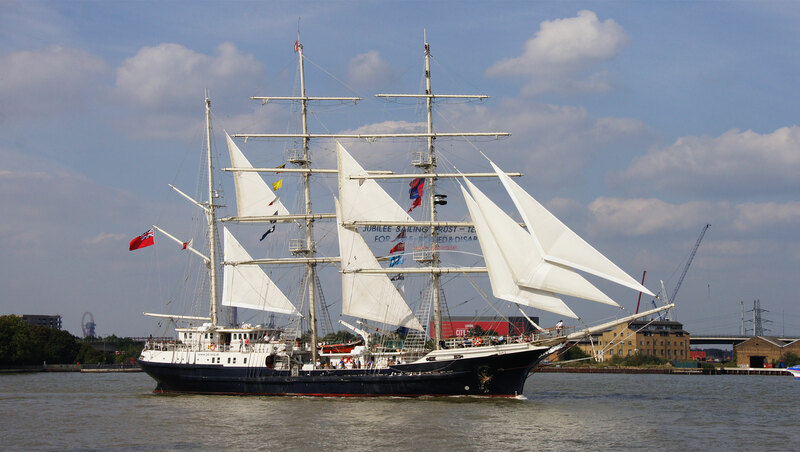 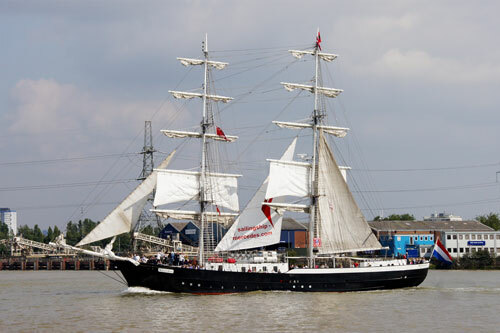 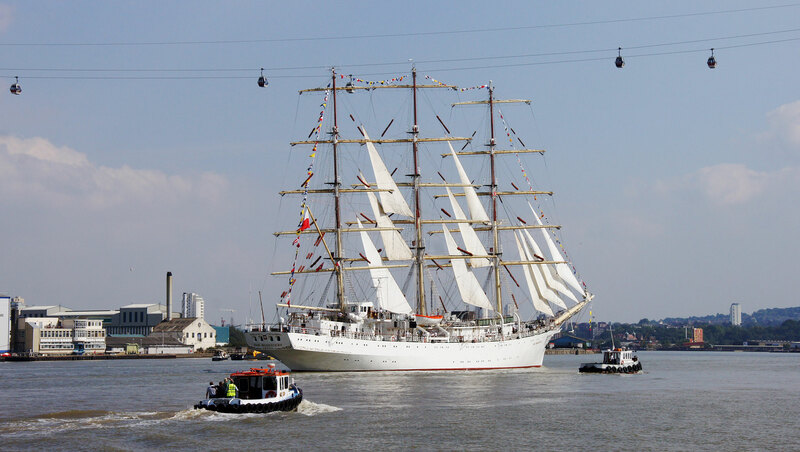 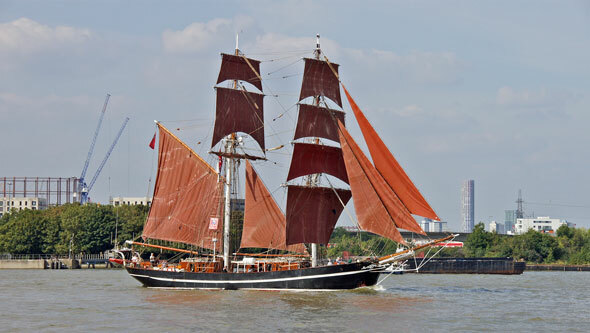 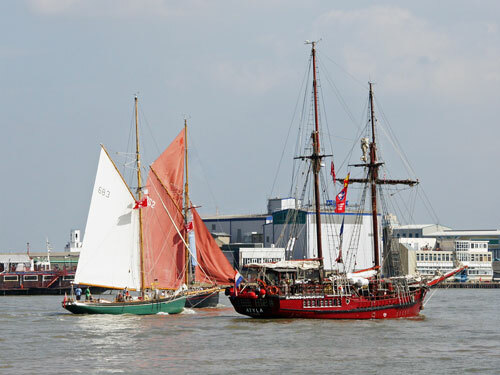 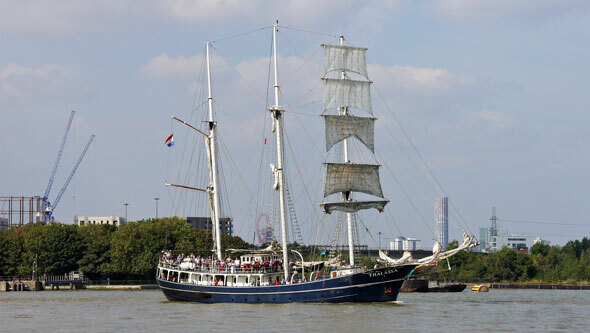 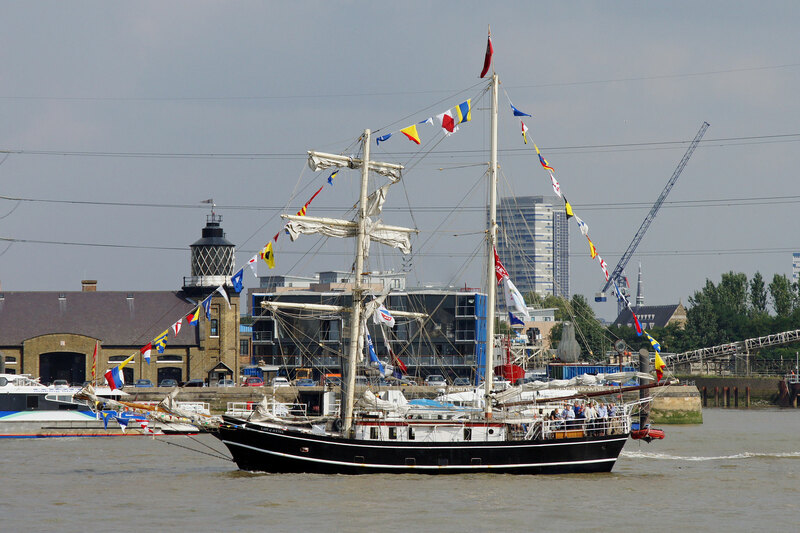 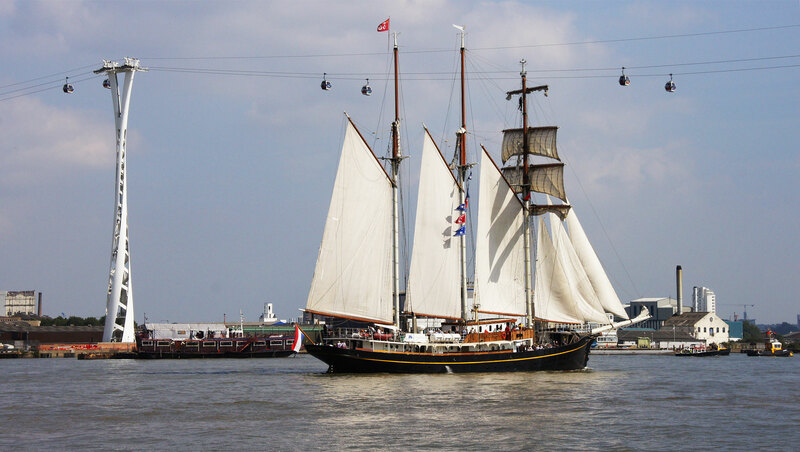 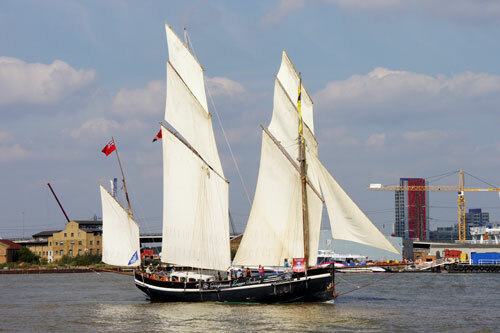 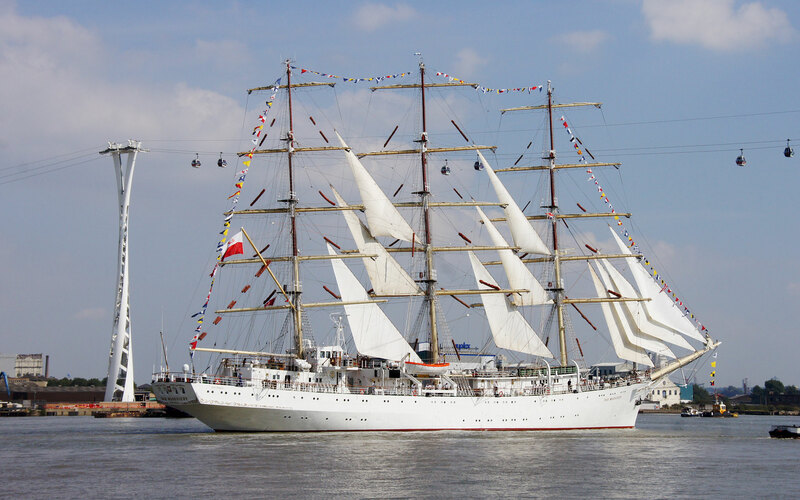 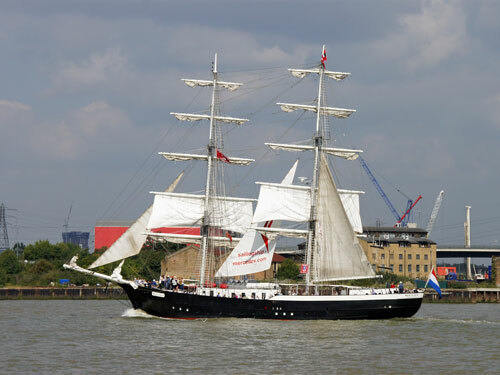 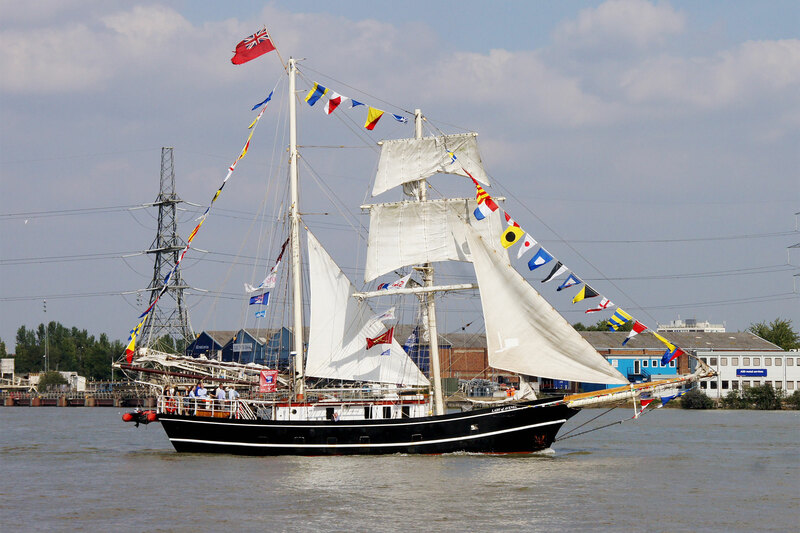 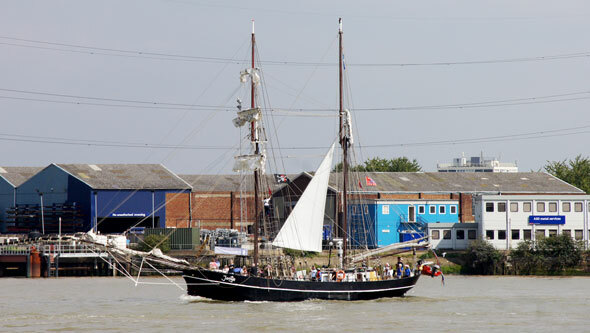 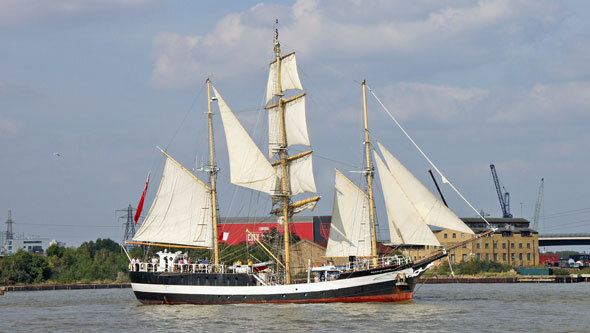 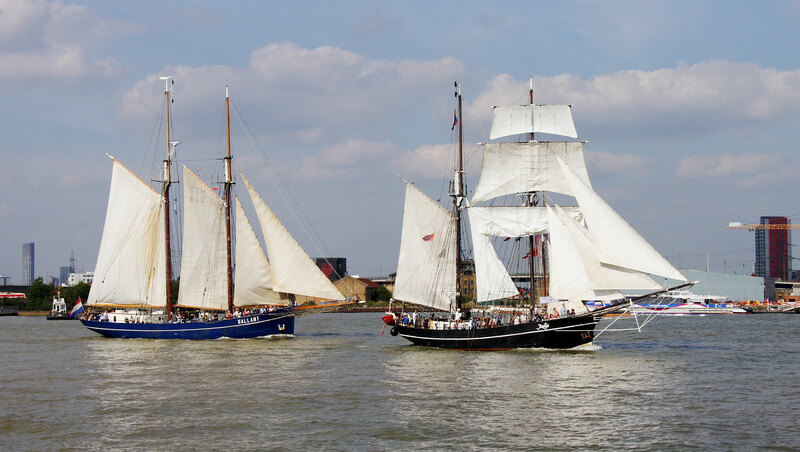 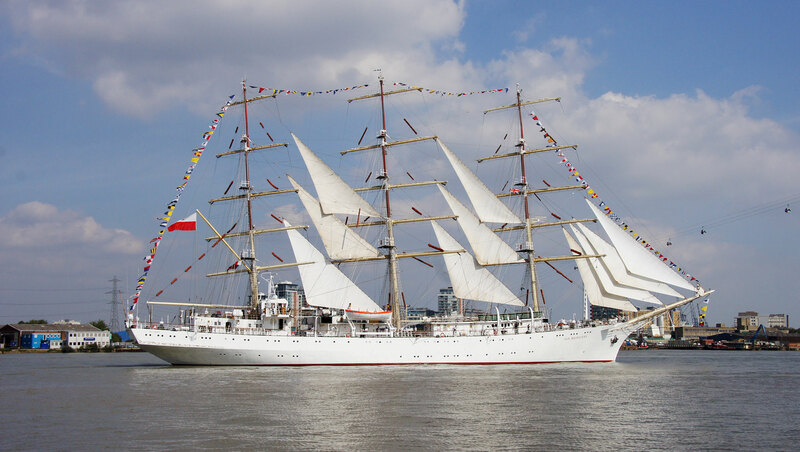 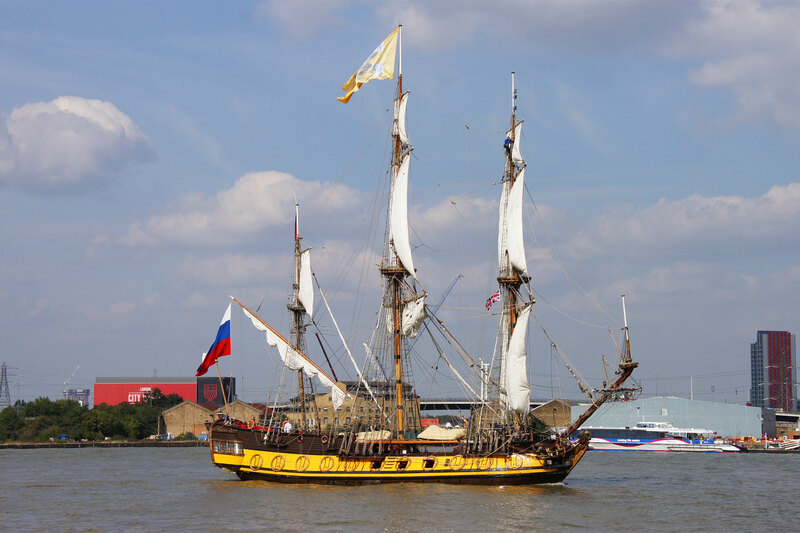 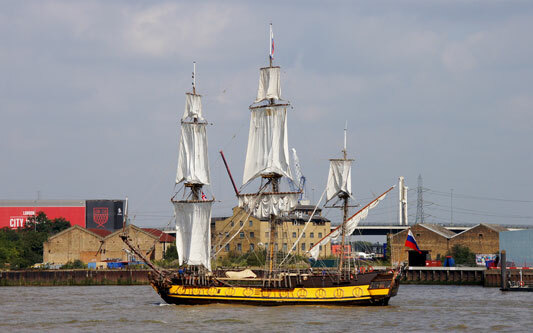 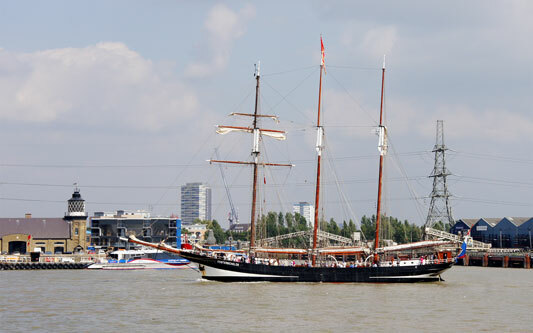 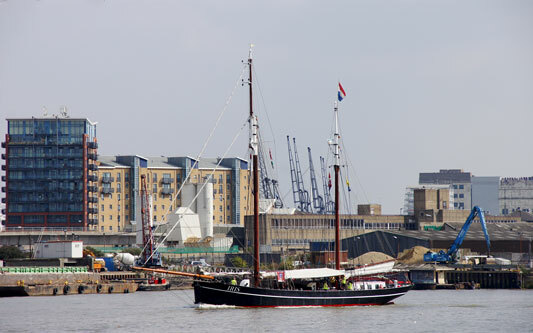 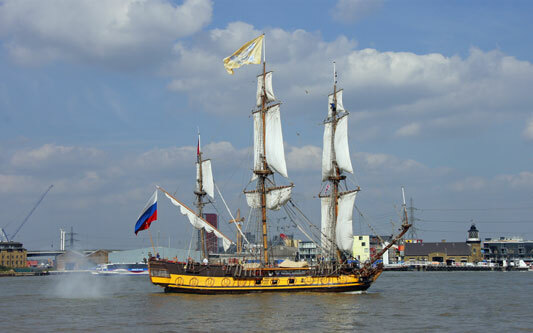 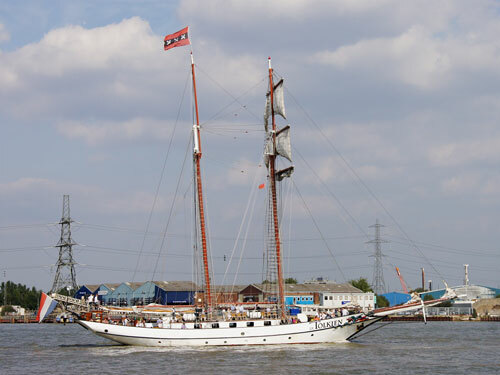 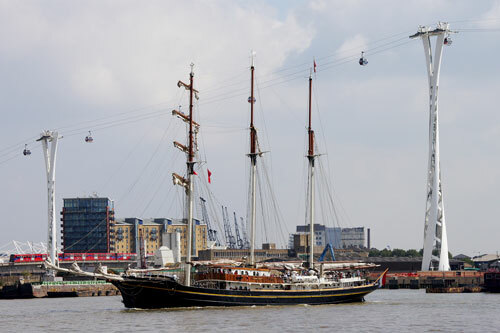 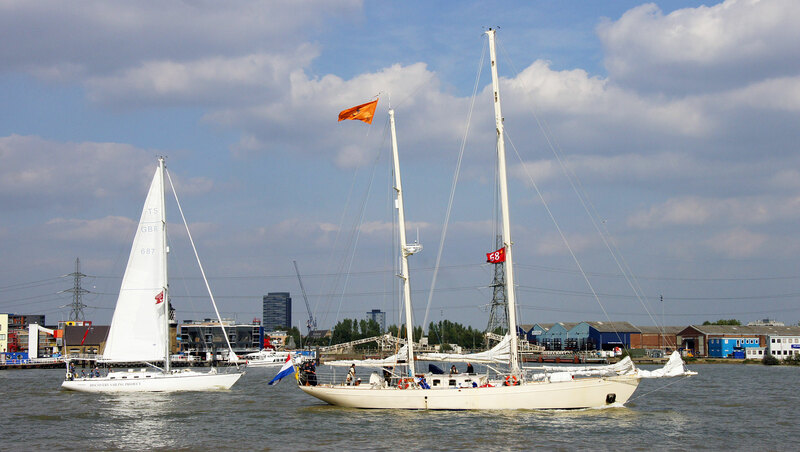 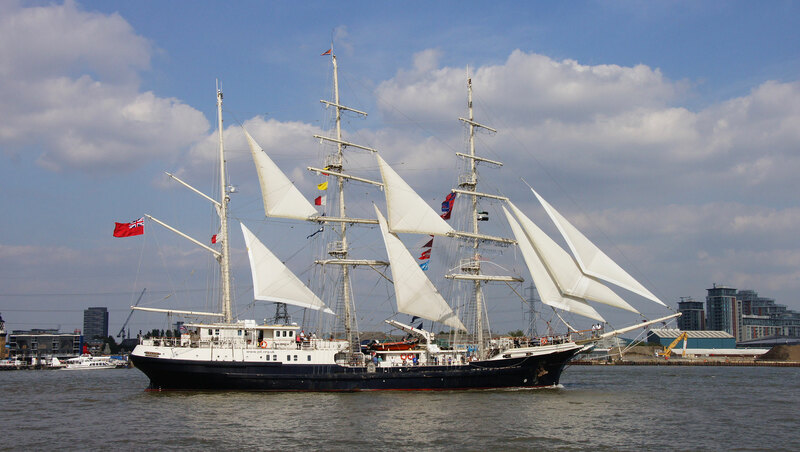 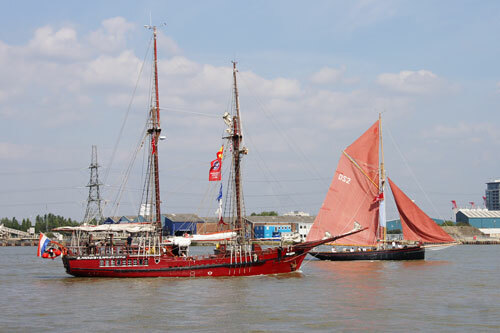 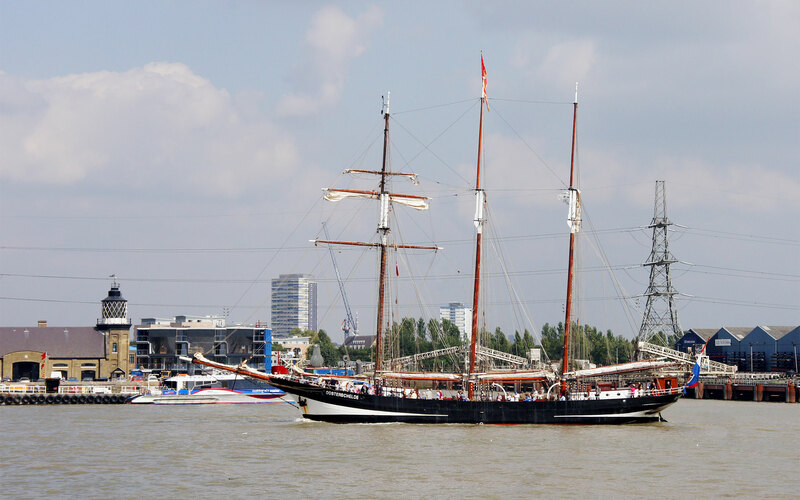 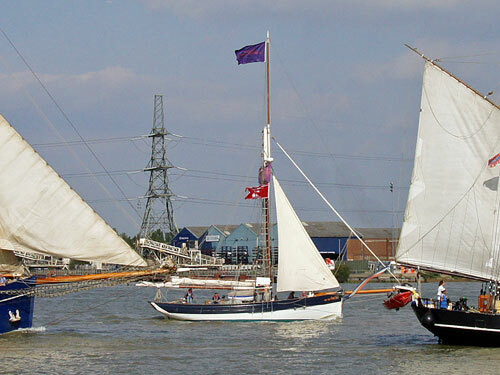 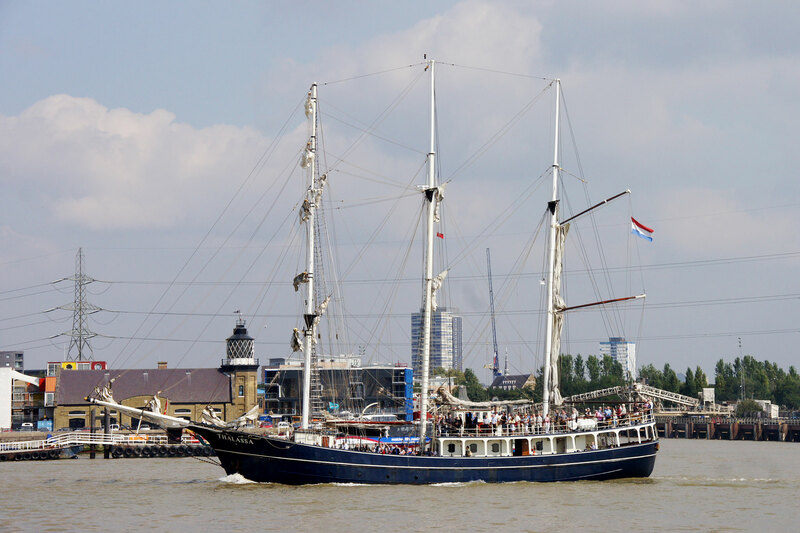 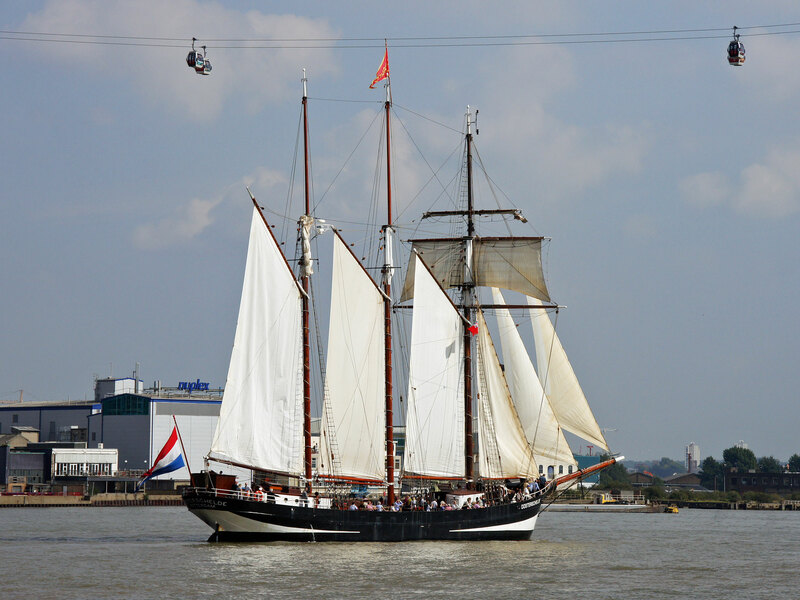 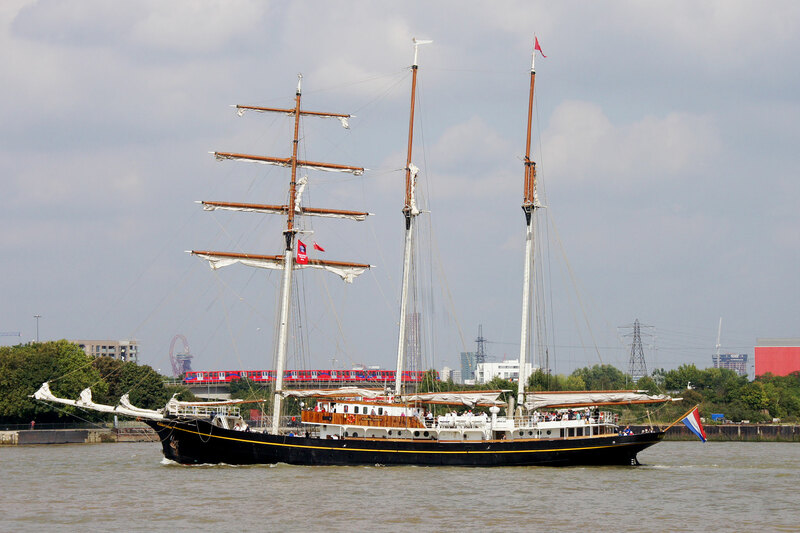 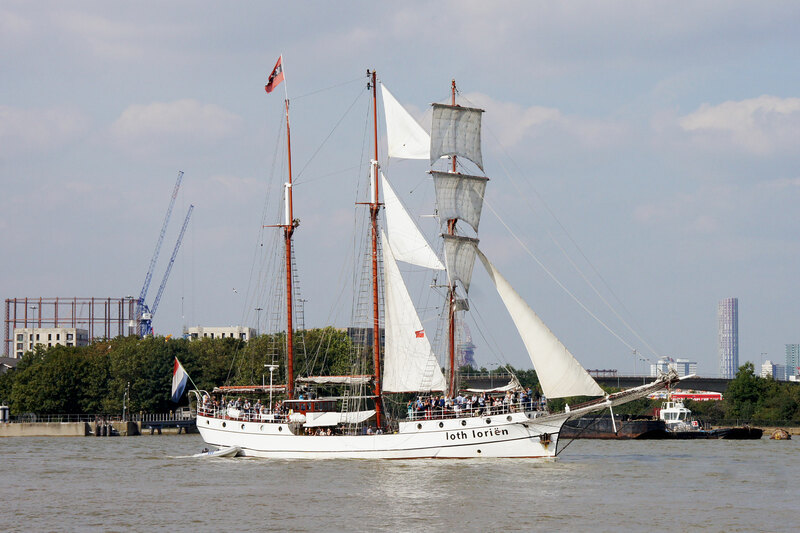 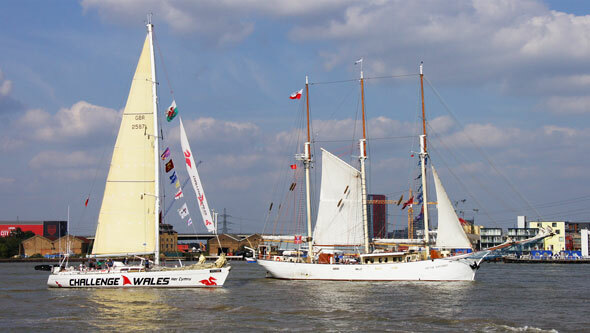 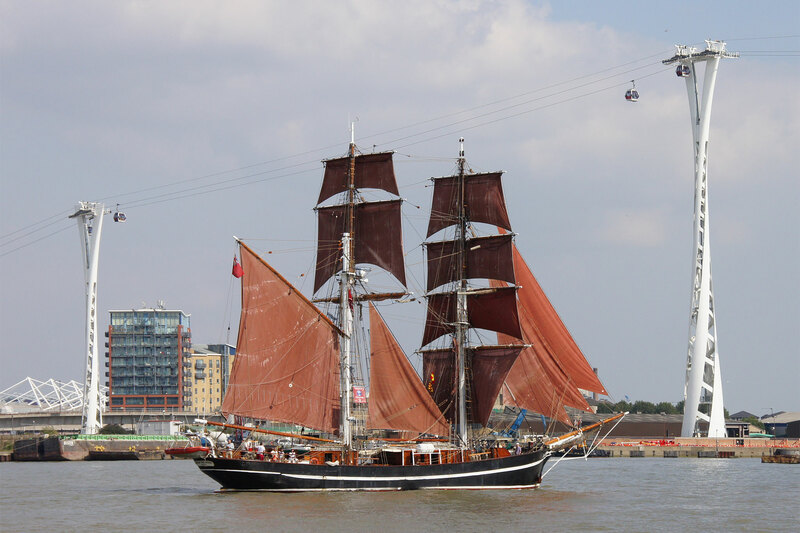 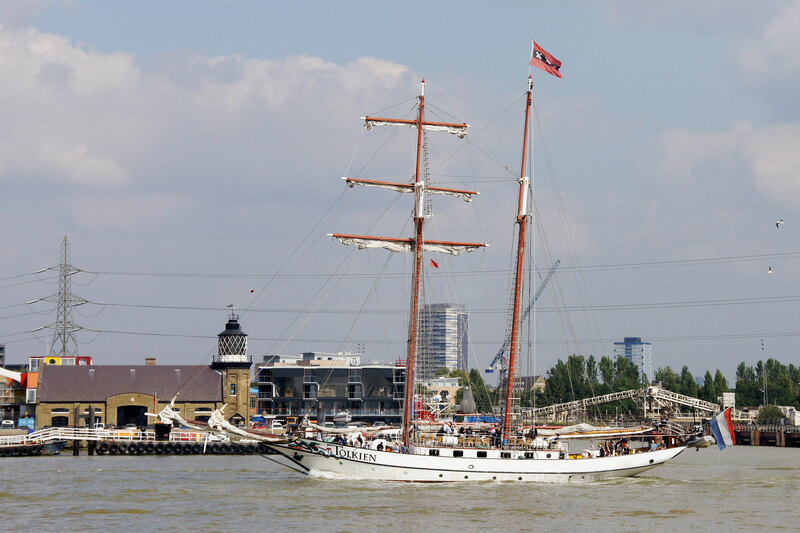 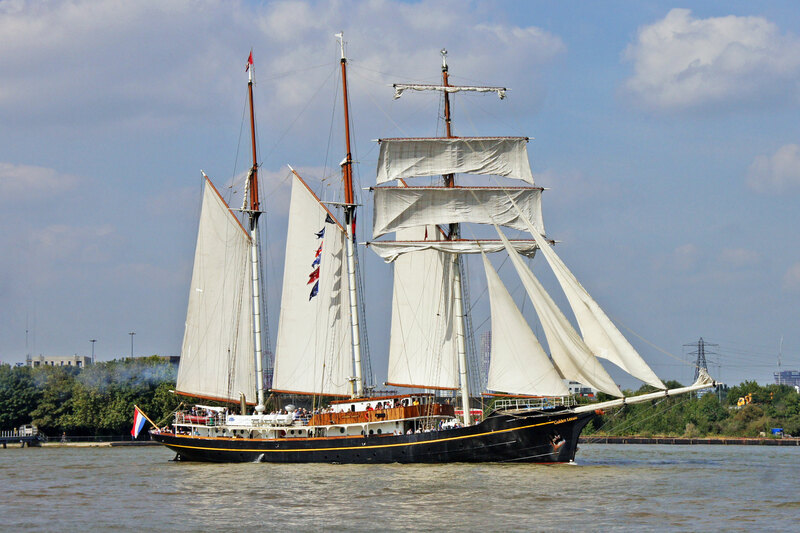 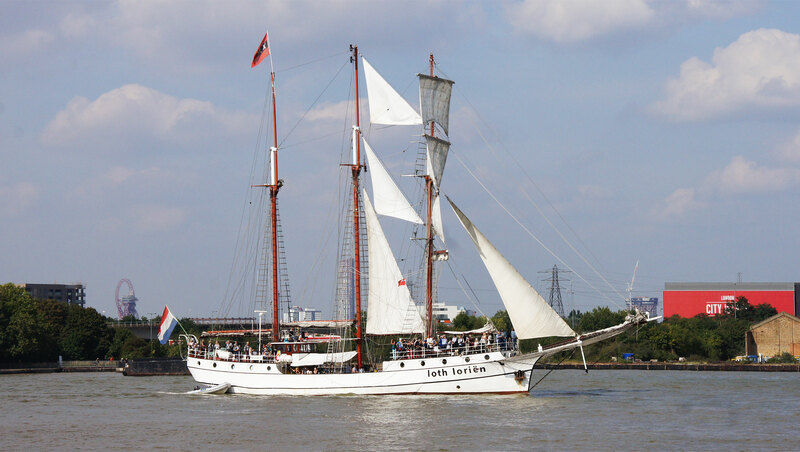 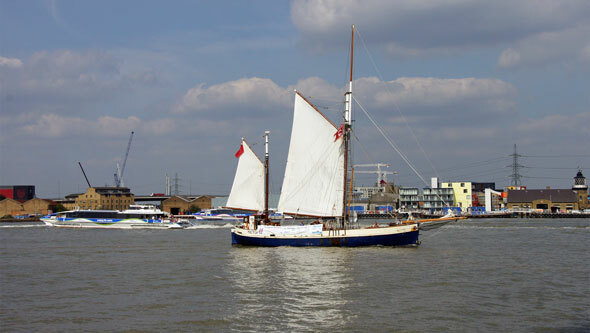 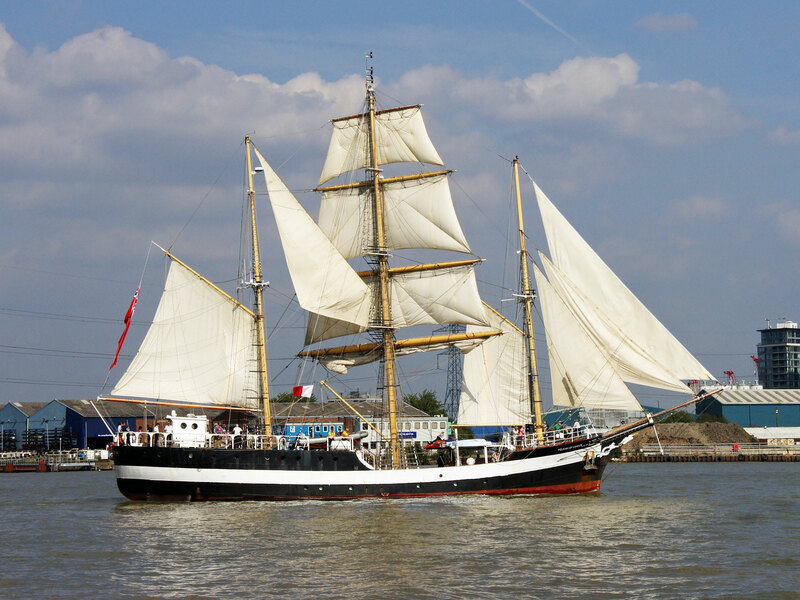 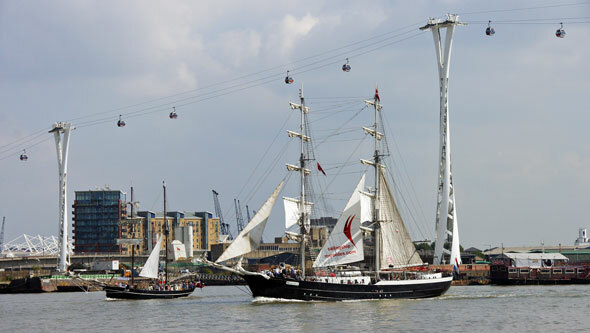 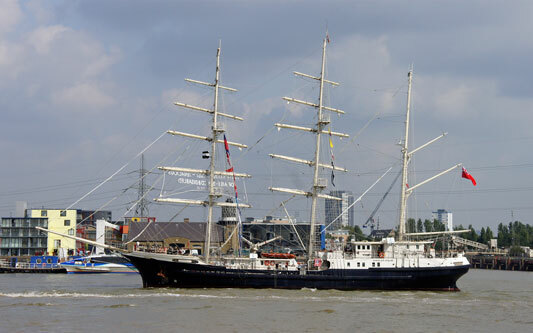 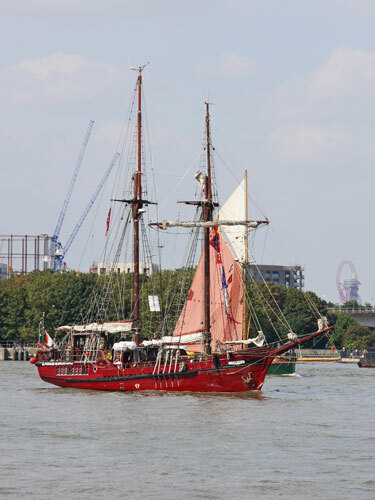 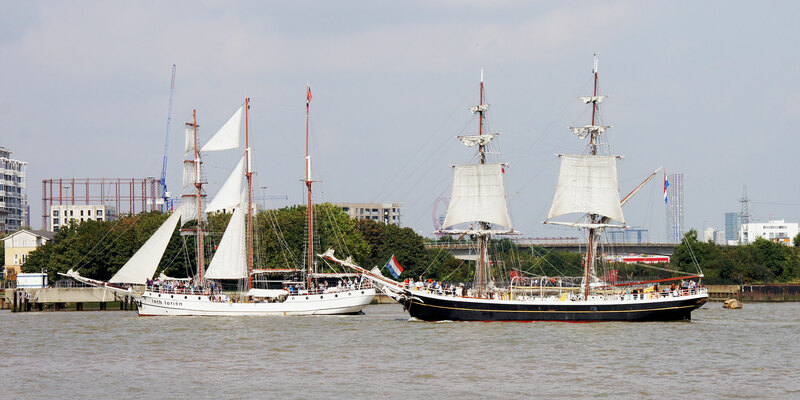 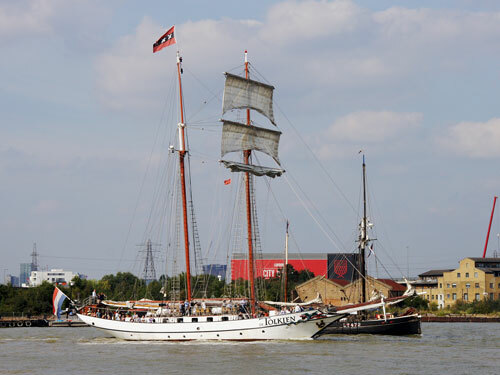 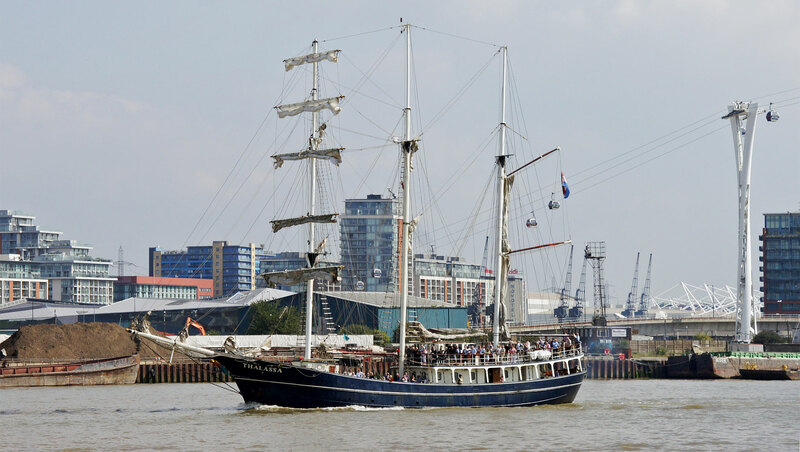 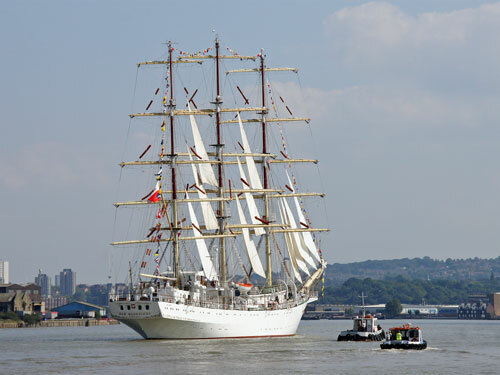 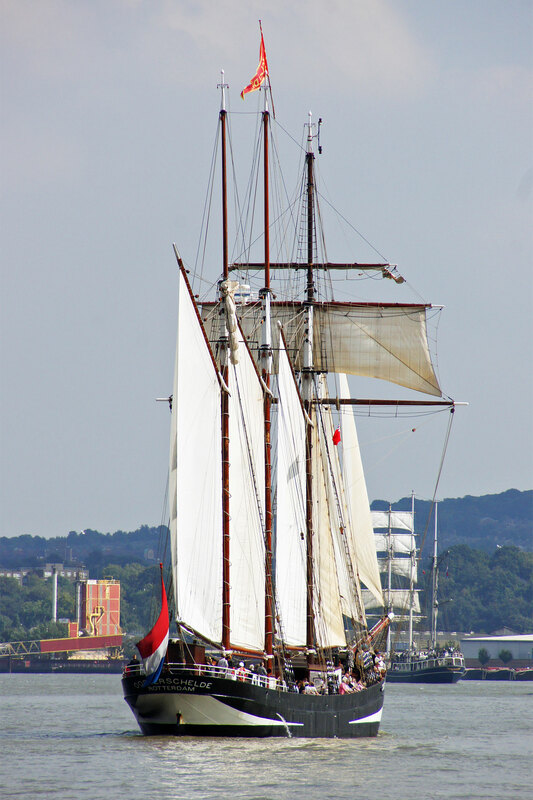 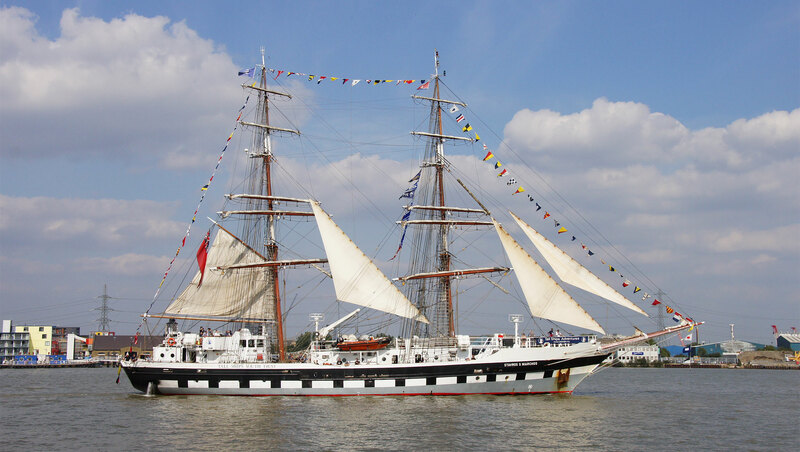 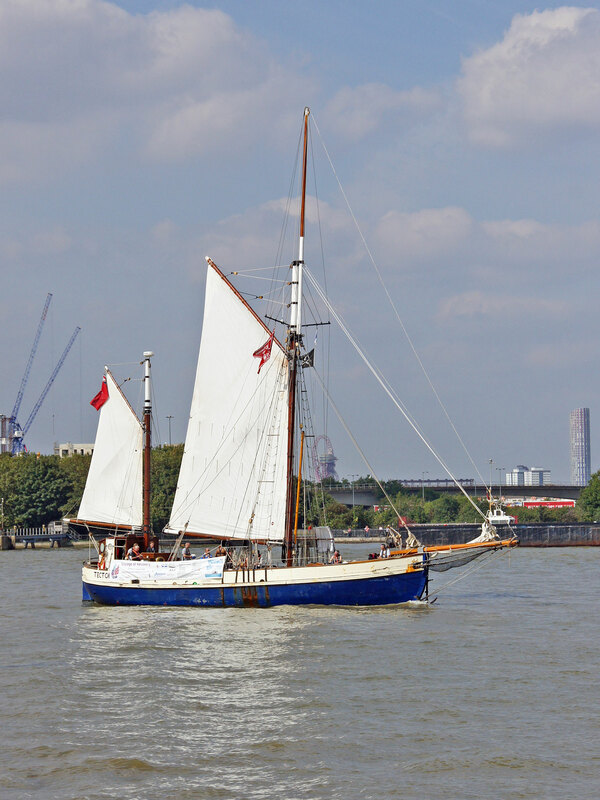 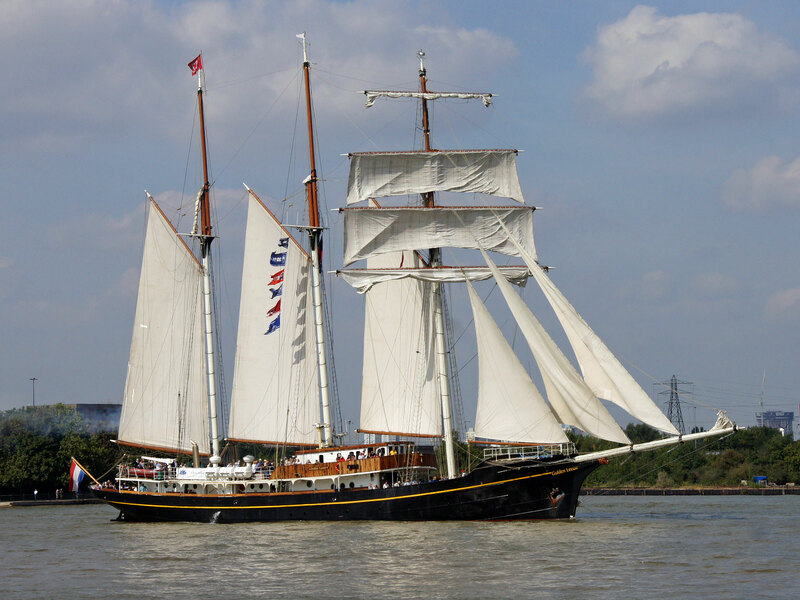 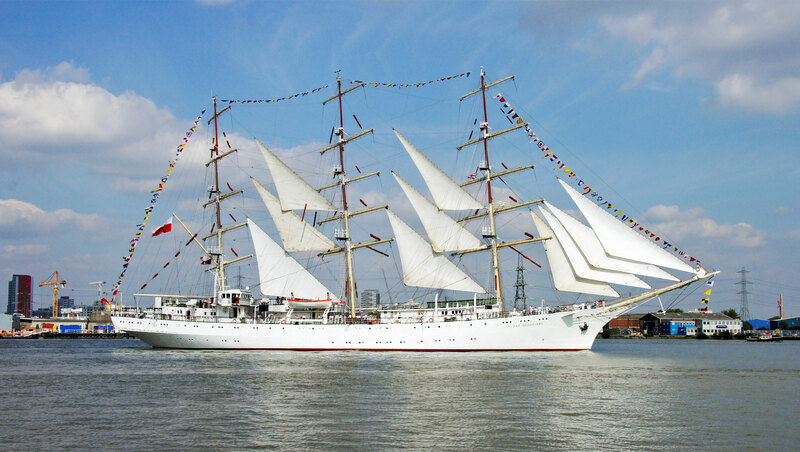 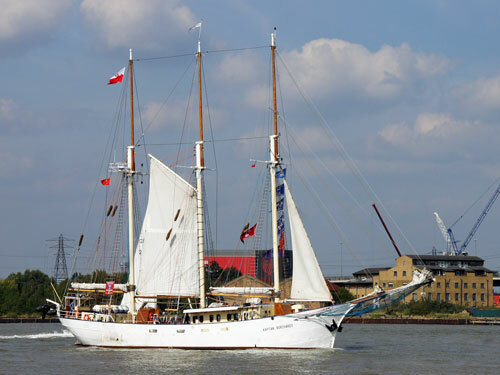 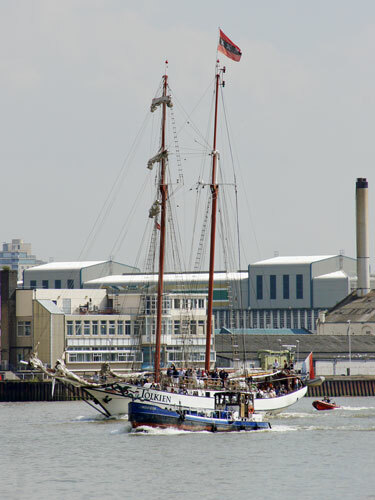 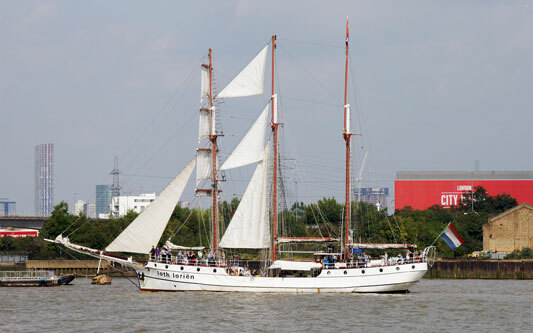 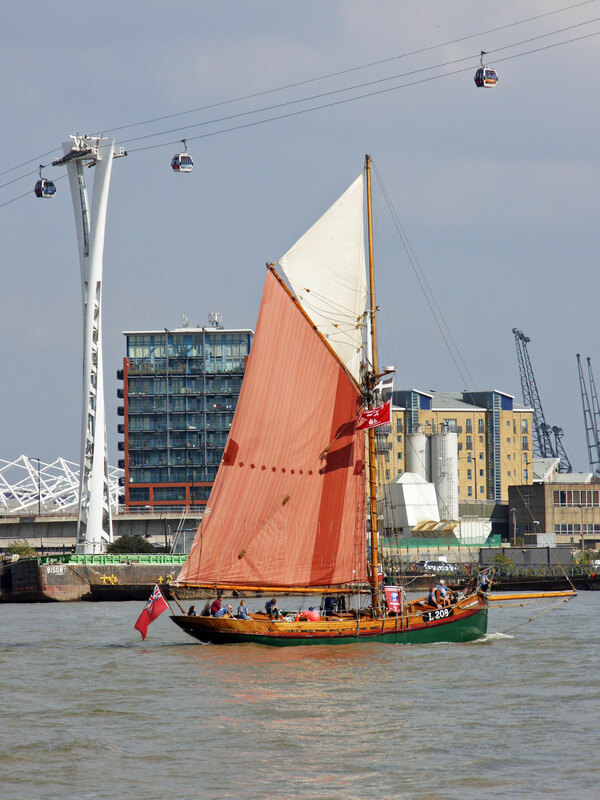 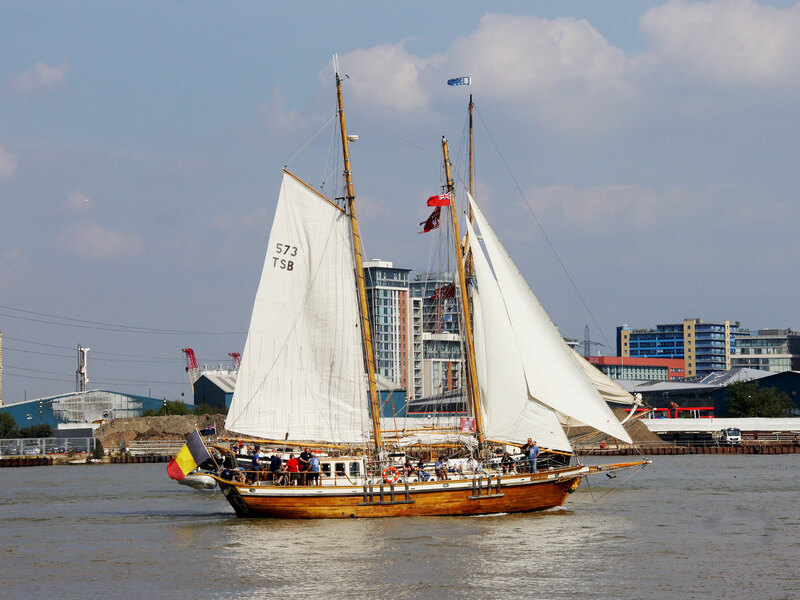 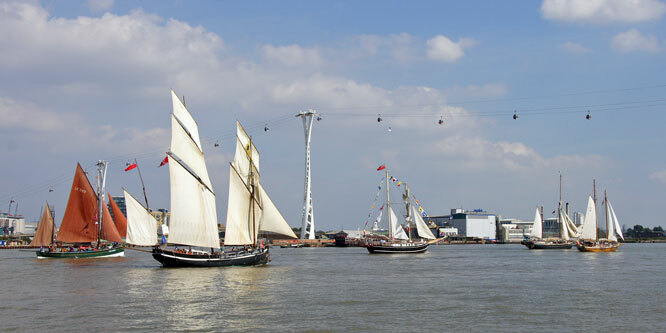 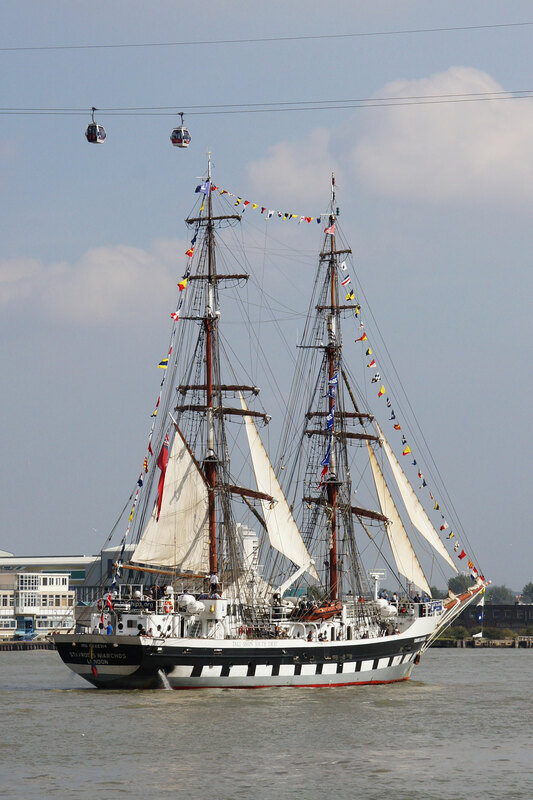 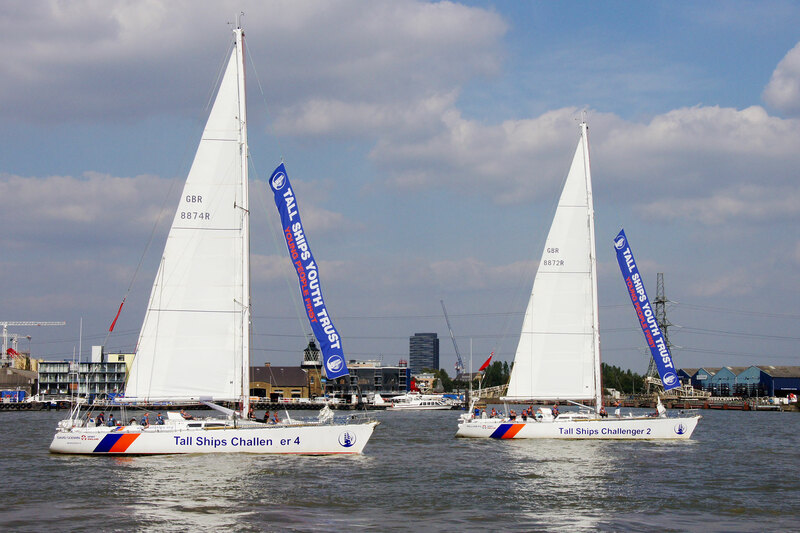 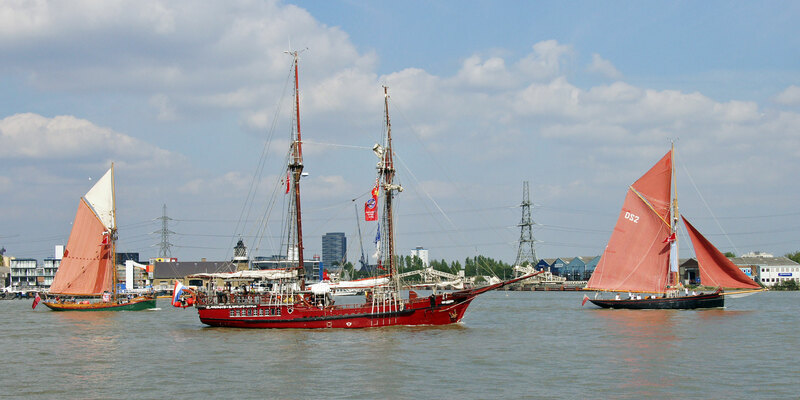 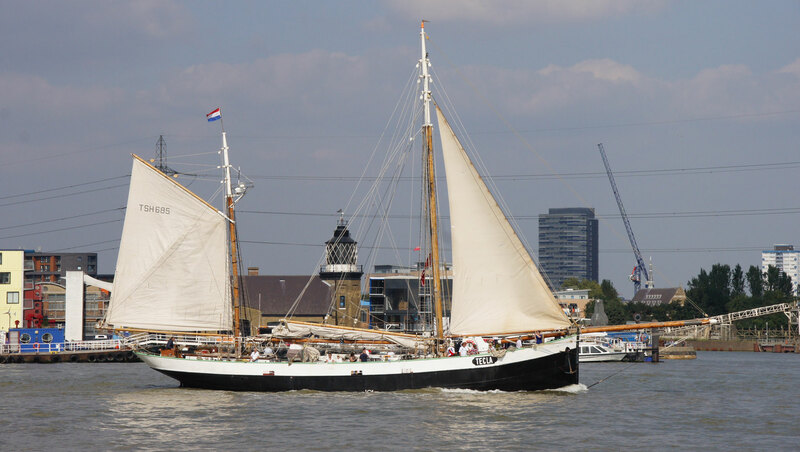 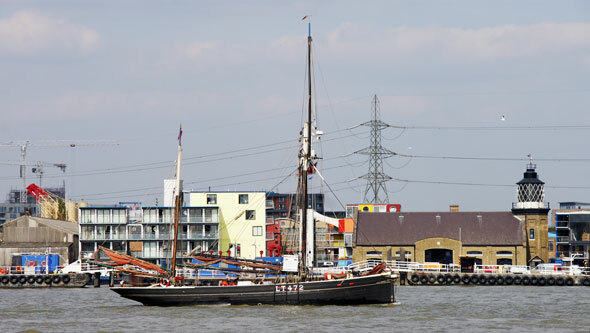 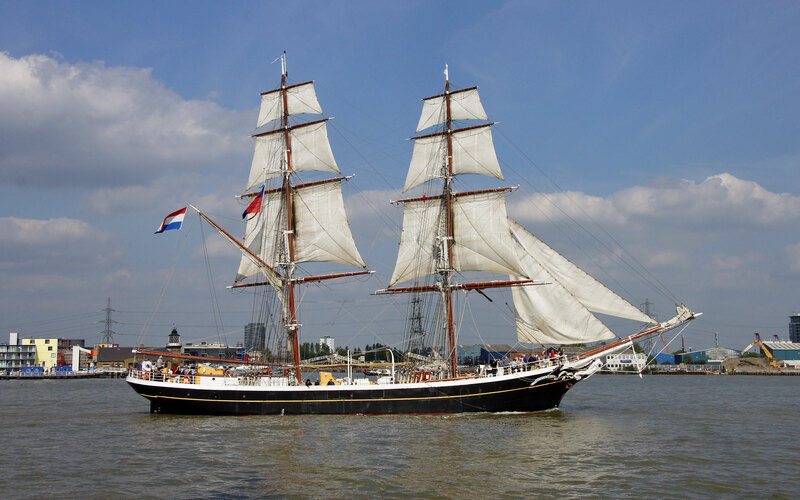 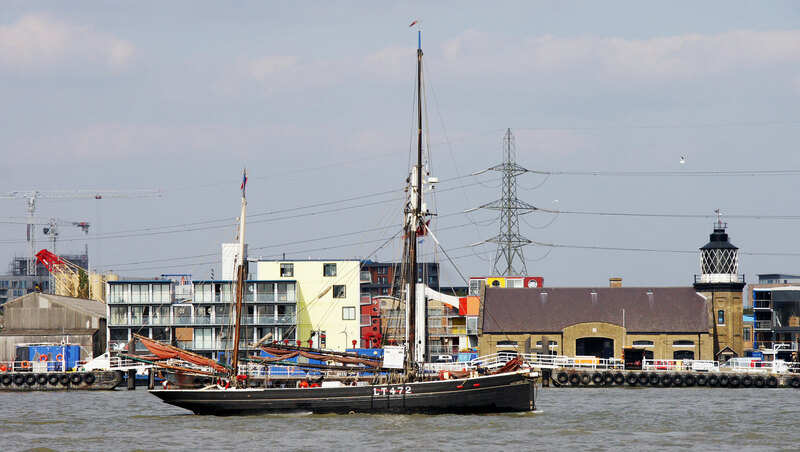 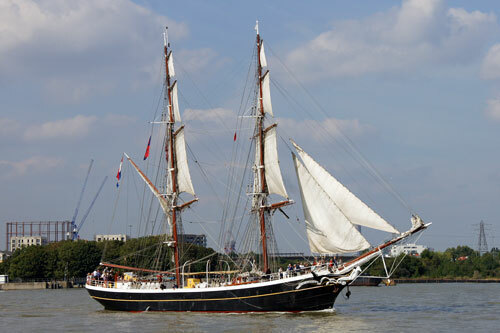 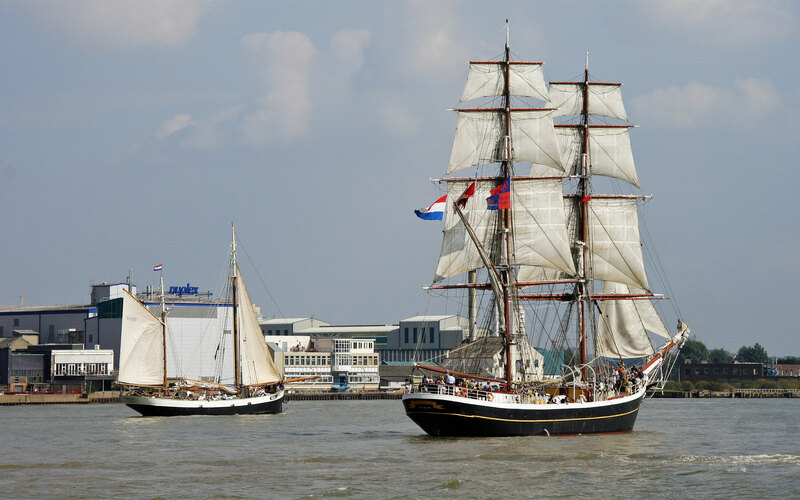 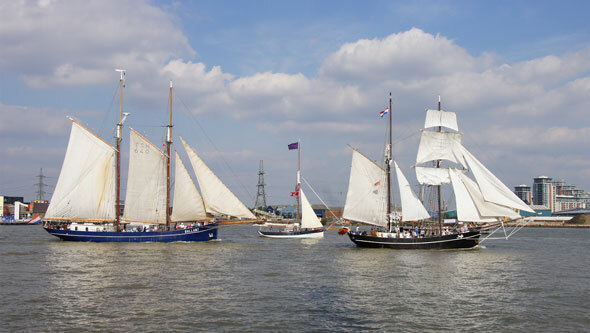 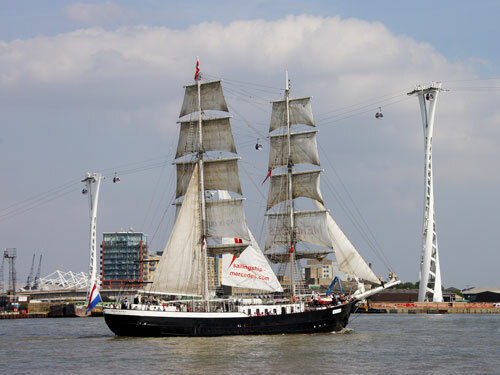 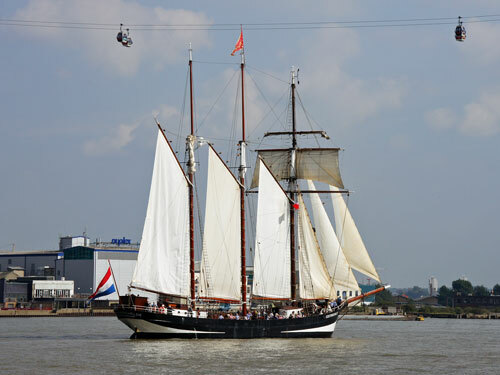 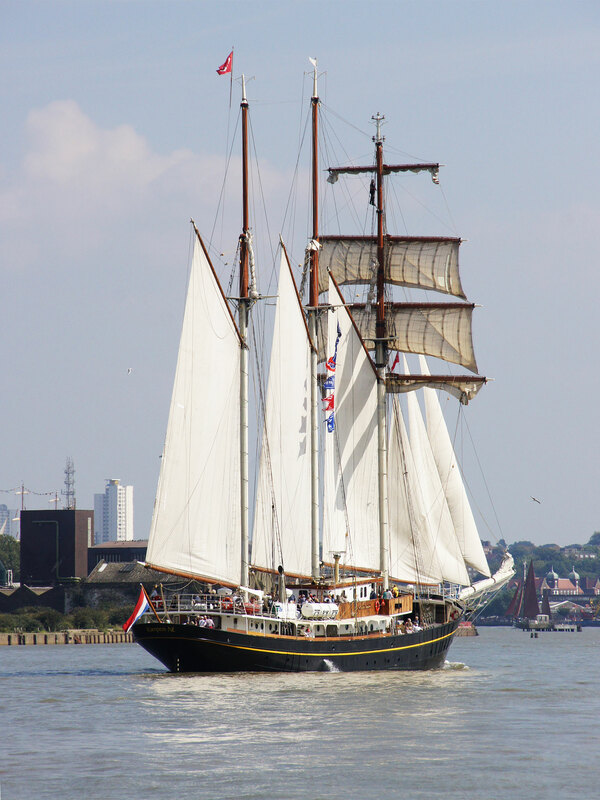 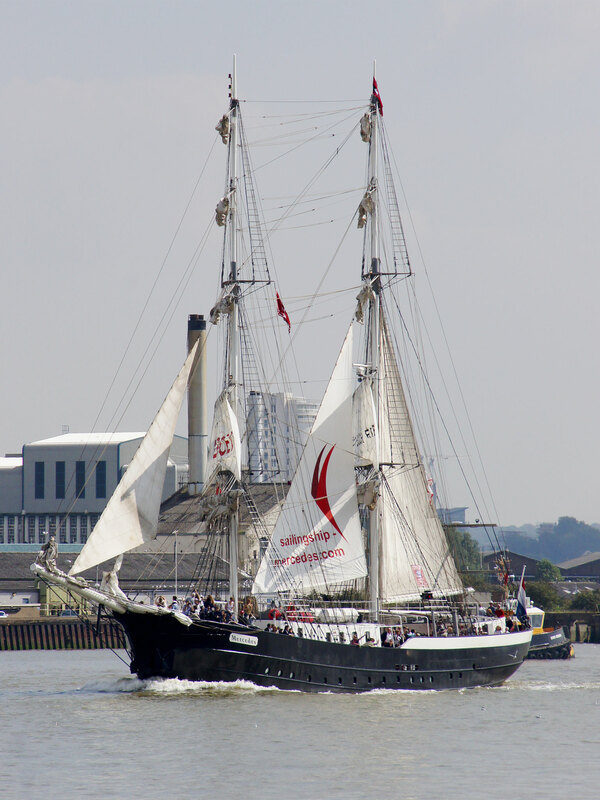 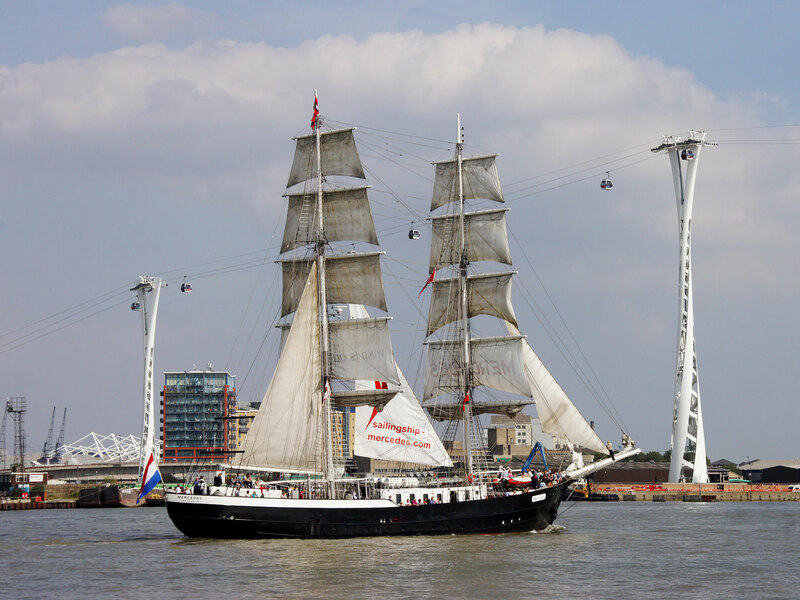 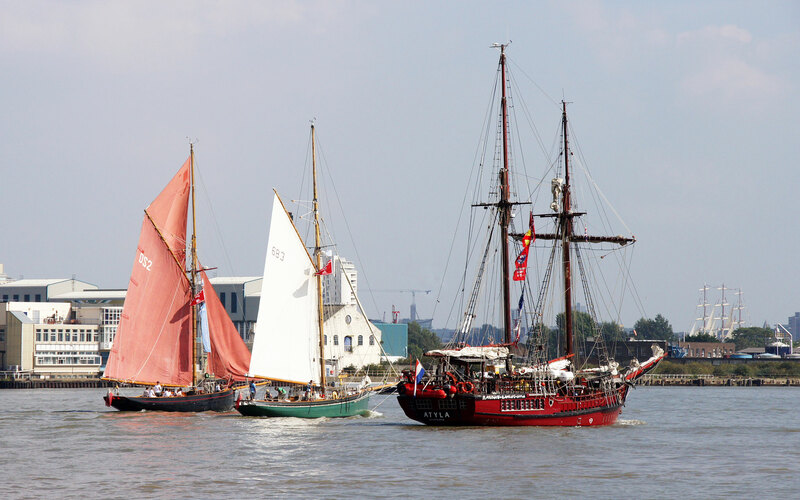 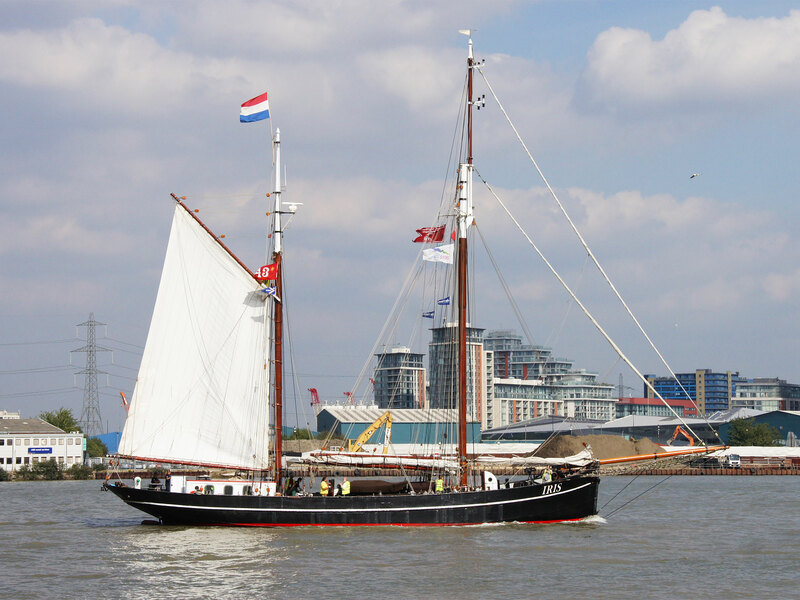 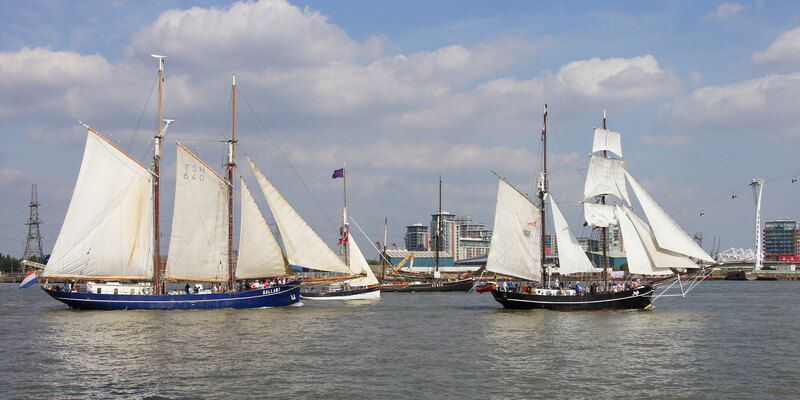 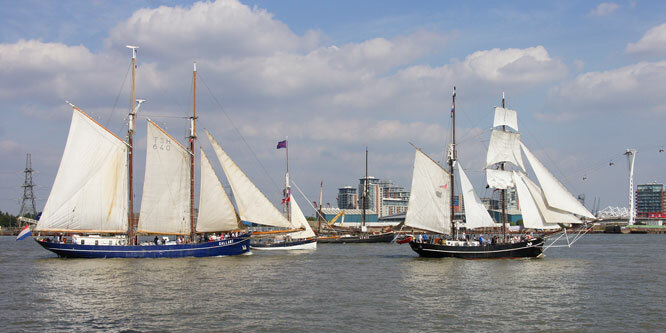 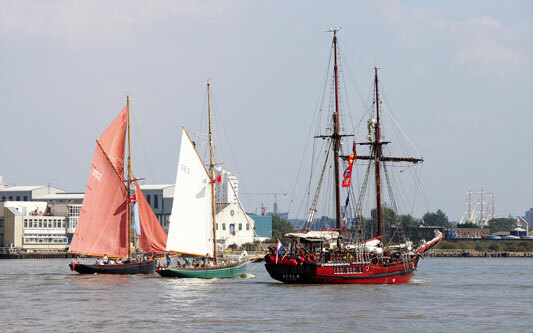 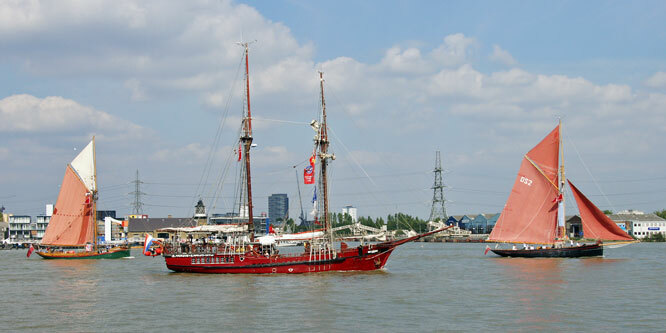 The Royal Greenwich Tall Ships Festival took place over four sites from 5 to 9 September 2014. This pages shows a selection of images of the 'Parade of Sail' departure on 9th September of the Tall Ships which had visited the Thames. I photographed all the significant ships as they left the Thames in the Parade of Sail on the afternoon of 9th September 2014. 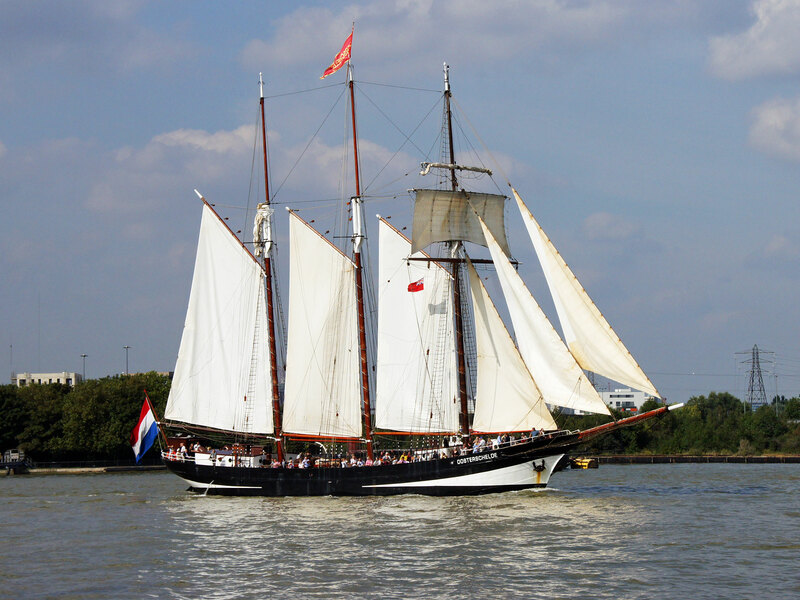 Loth Lorien - Netherlands 19?? 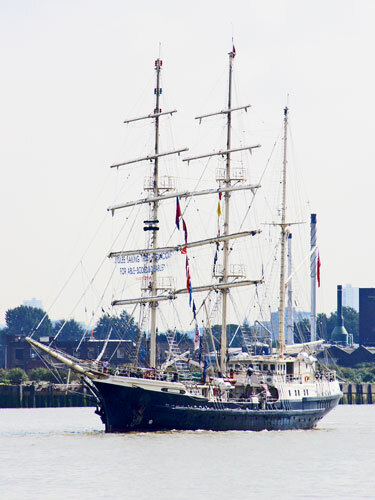 Pelican of London - UK ???? 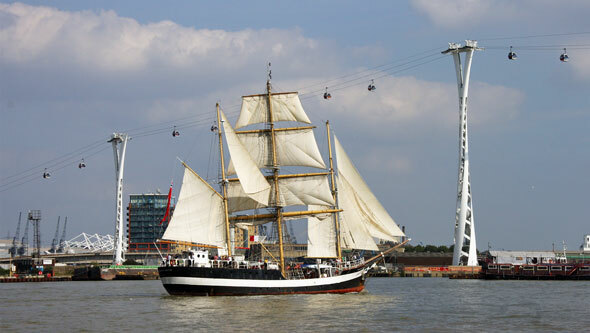 Stavros S Niarchos - UK ???? 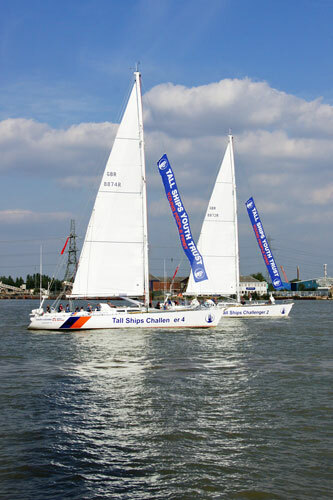 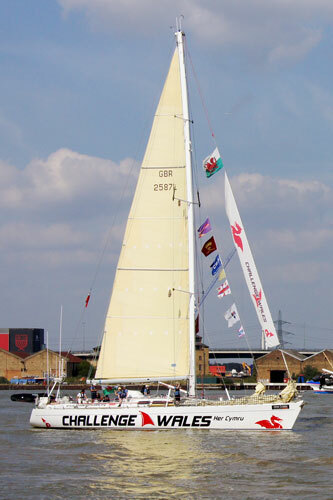 Challenge Wales, Challenger 2 and Challenger 4 were launched as three of 12 identical yachts designed by Robert Humphreys and built by Devonport Yachts in 2000 to compete in the world’s toughest yacht race, the round-the-world Global Challenge. 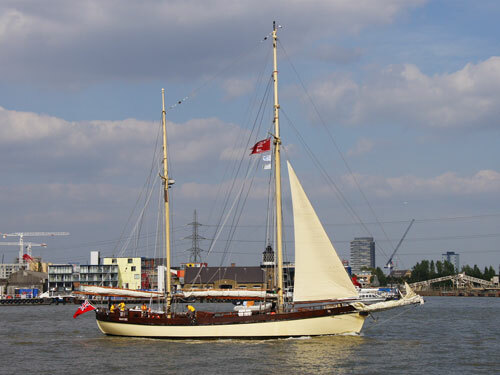 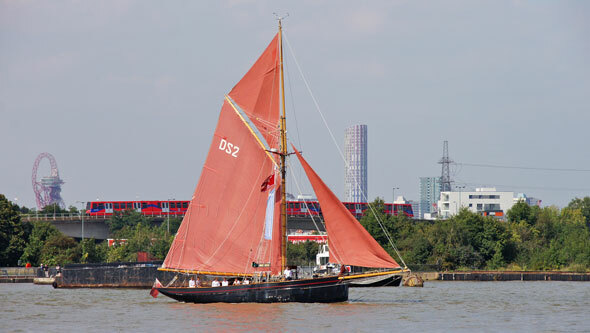 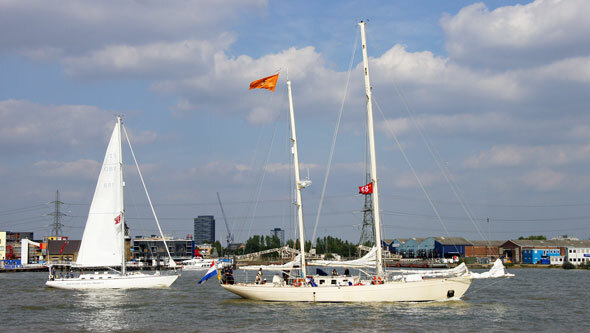 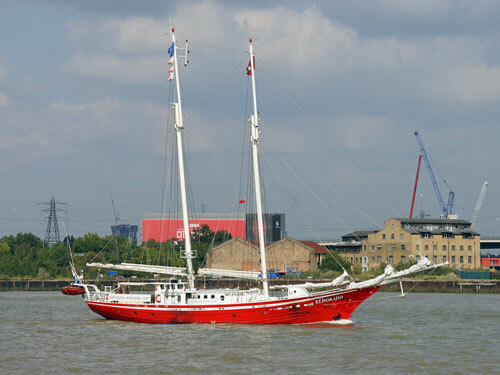 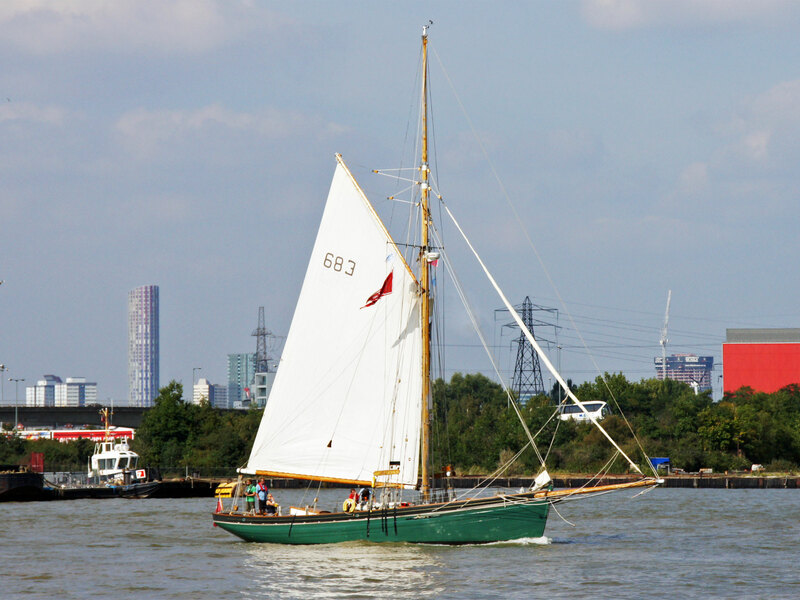 Built by F Wilkinson in Charlton, Greenwich in 1892 as a typical speedy Victorian cutter, this graceful ship's pedigree includes winning the Round Britain yacht race in 1904. 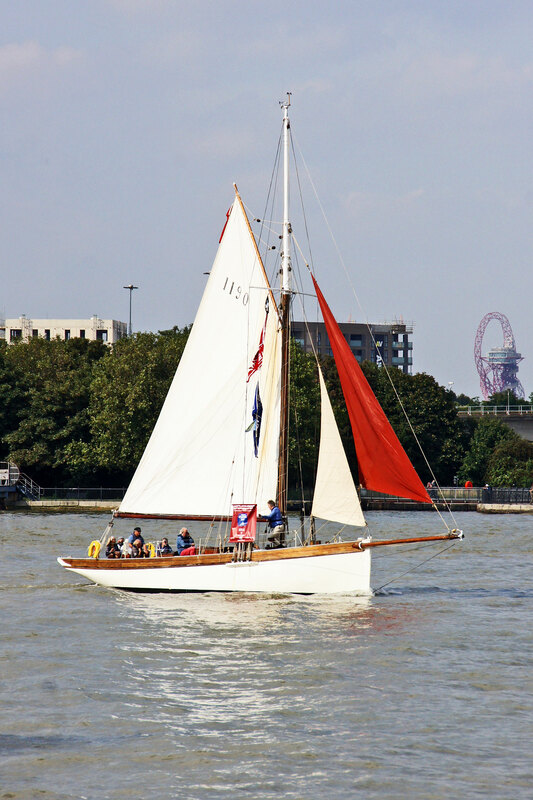 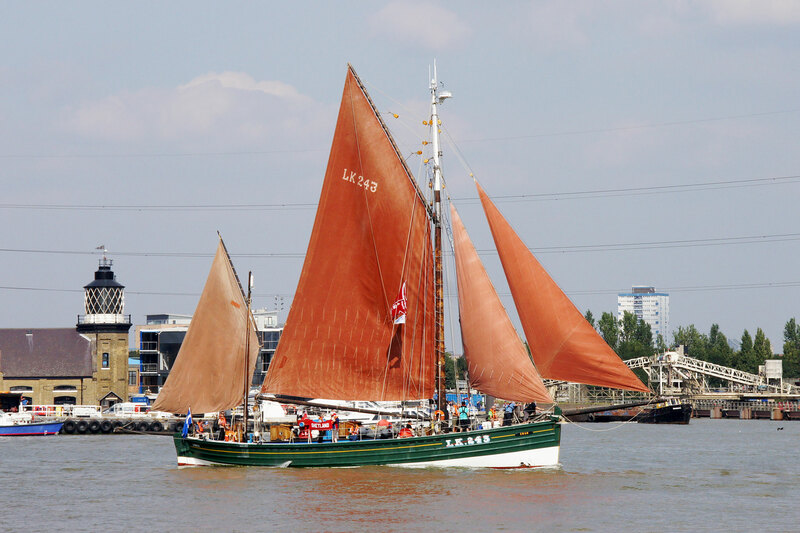 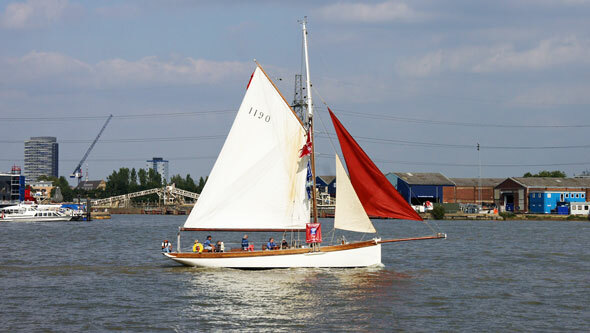 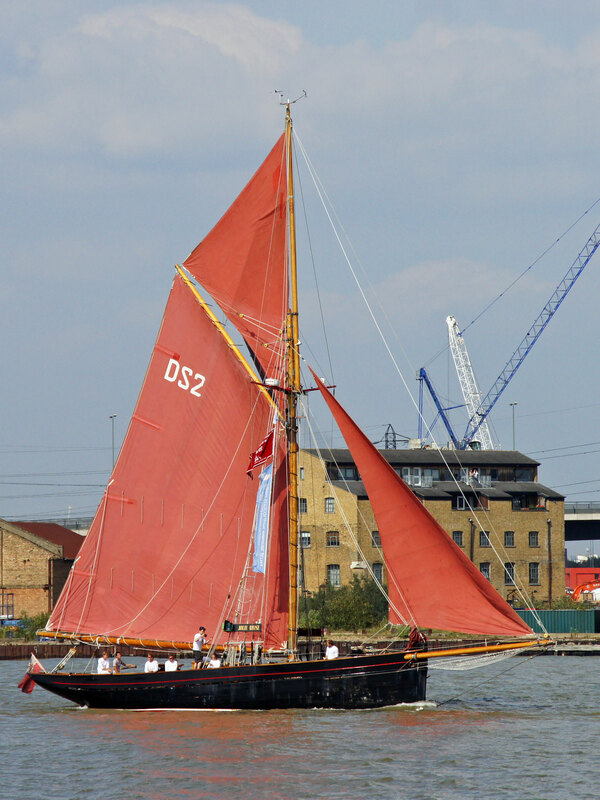 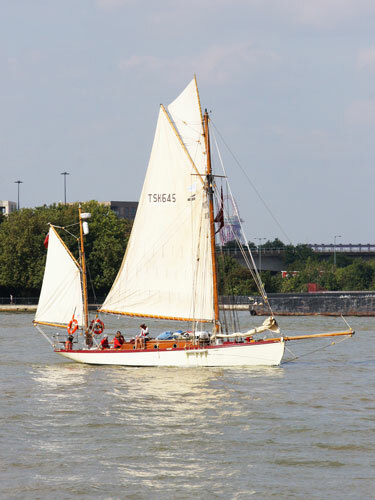 She was lovingly restored between 2008 and 2012 by the Suffolk-based Leila Sailing Trust. 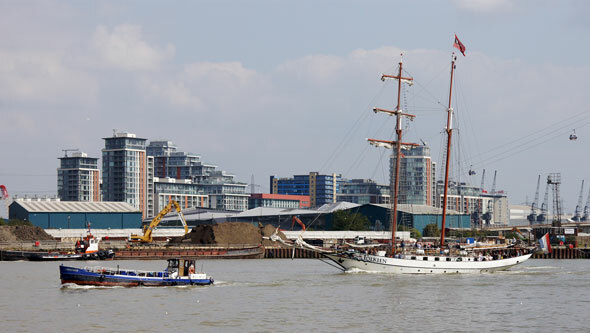 In sailing to Royal Greenwich, this ship will be returning to where she was built 122 years before. 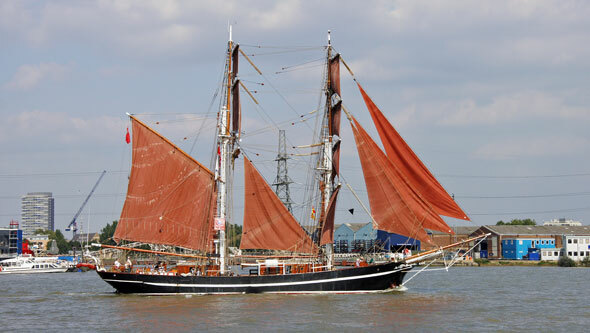 The Loth Loriën was built in Norway and originally sailed as a herring lugger. In 1989, she was bought by her current owner who spent two years converting her into a two-masted lugger with modern rigging and furnishing her with a luxurious interior including a saloon and bar. 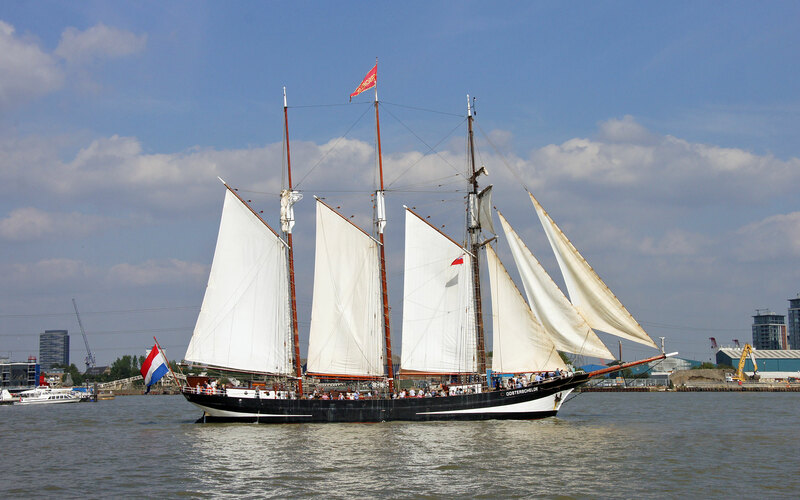 After a further transformation into a three-masted schooner, the Loth Loriën had four new square sails added to her foremast in 2009 to create a stunning barquentine. She is named after the Elvish kingdom in Tolkien’s Lord of the Rings. The Swan was one of the finest boats in the Scottish fishing fleet, and at the time she was launched she was the largest ever to be built at Lerwick. Swan continued fishing until the 1950s, when she was retired and used as a houseboat. 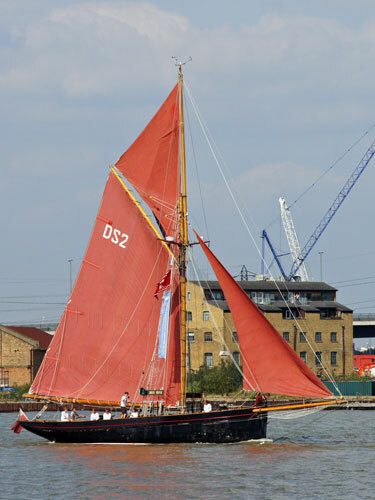 Lovingly restored by the Swan Trust from 1990, she was transformed into a Shetland Smack - a traditional seagoing fishing boat - using authentic materials. This beautiful ship plans to set out from Lerwick on 18 August for a round-Britain sail, of which the Falmouth - Royal Greenwich Tall Ships Regatta forms the second leg. The Scottish herring fishing experienced its peak in the early years of the 20th century. 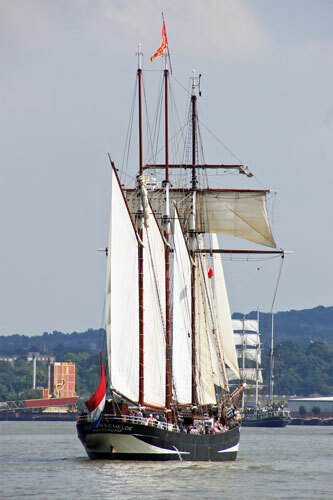 Every summer hundreds of sailing vessels packed into Lerwick harbour, and other ports around the coastline. 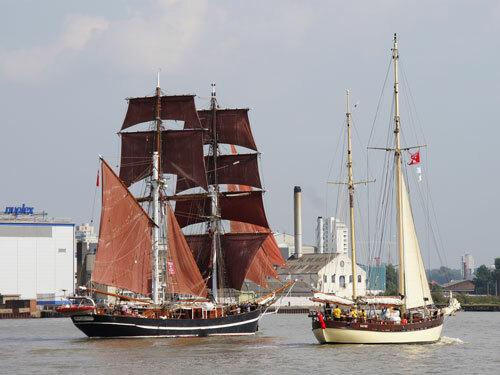 Two types of vessel dominated; the Fifies, and the Zulus. These massive timber boats were unique to the Scottish fleet, and were the ultimate development in Scottish herring sail boats. The Fifies had vertical stern posts, and the Zulus had distinctively angled sterns. The boats measured 75 feet (23 metres) or more in length, and were fitted with steam capstans that enabled them to haul their nets, and handle their enormous masts and sails. 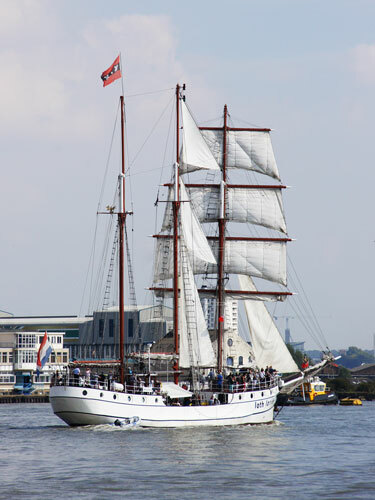 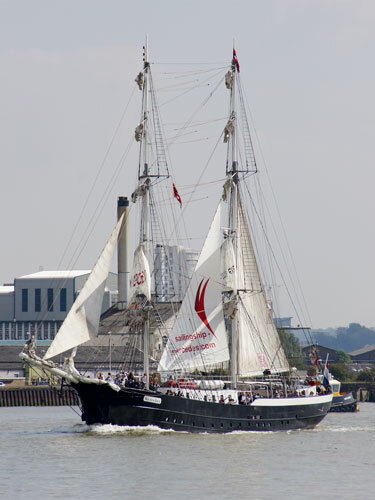 The STS Tenacious is a modern British wooden sail training ship, specially designed in the 1990s to accommodate anyone over 16 with a disability. 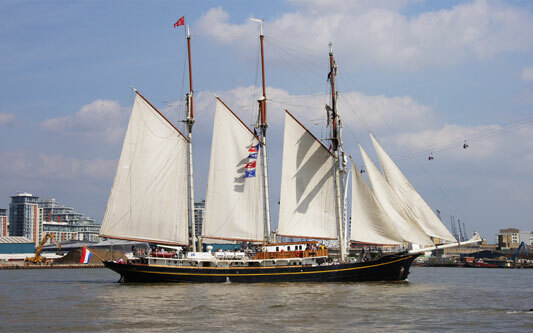 Launched in 2000, it became the largest wooden tall ship built in the United Kingdom in the last 100 years. It is 65 metres (213.25 feet) long, including bowsprit, and it is rigged as a (three-masted) barque with two mizzen gaffs. 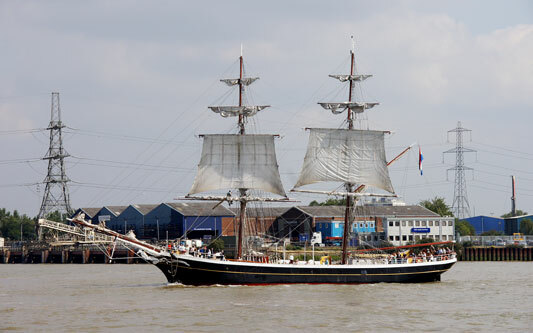 Its deck is 49.85 metres long, its hull is 54.02 metres long, and it has a beam of 10.6 metres at its widest point.